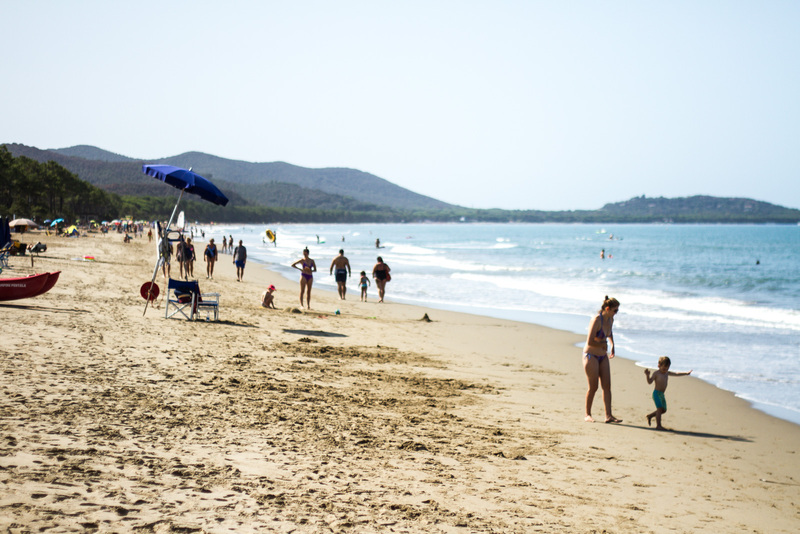 All beaches around Punta Ala and not only, wonderful parks, historical villages and local parties and events, tips to visit and live the Maremma. Roselle: walks in an archaeological site unknown to most. 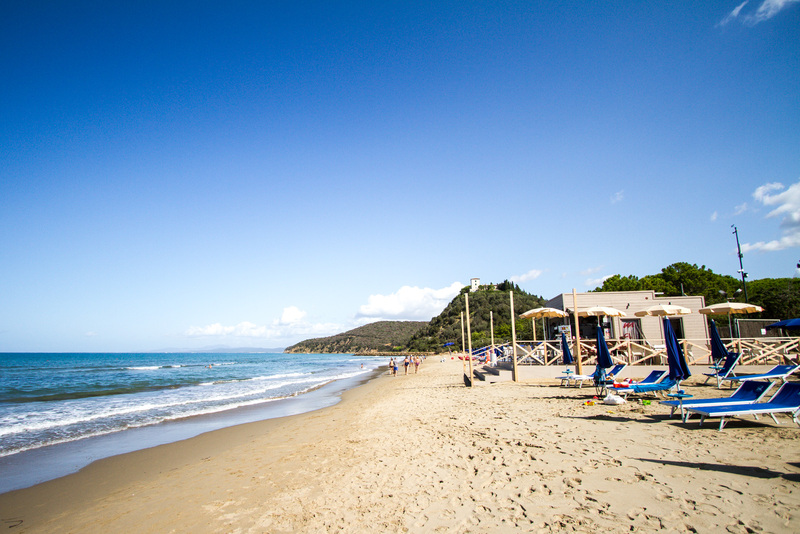 A dip into the past just 20 minutes from the sea of Castiglione della Pescaia. 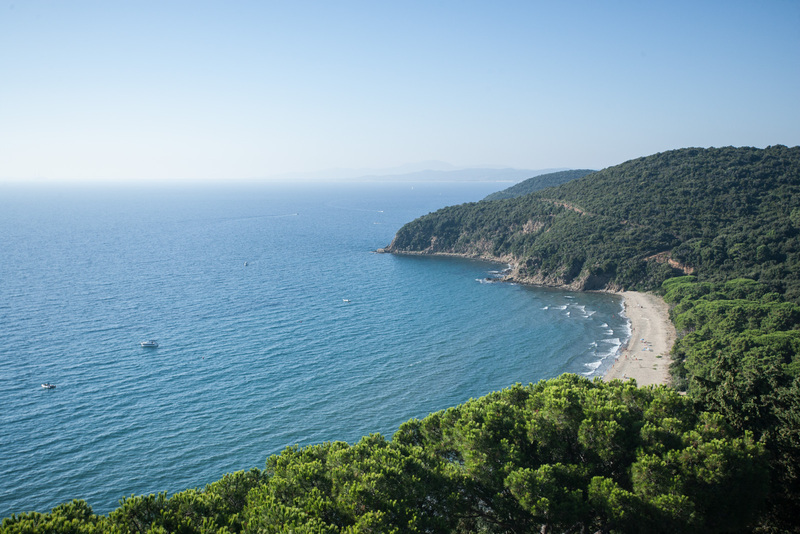 “A wilderness of rocks and thickets — the haunt of the fox and wild boar, of the serpent and lizard — visited by none but the herdsman or shepherd…” George Dennis, the 19th-century British diplomat and scholar, thus described the little town of Roselle while visiting the Maremma area. 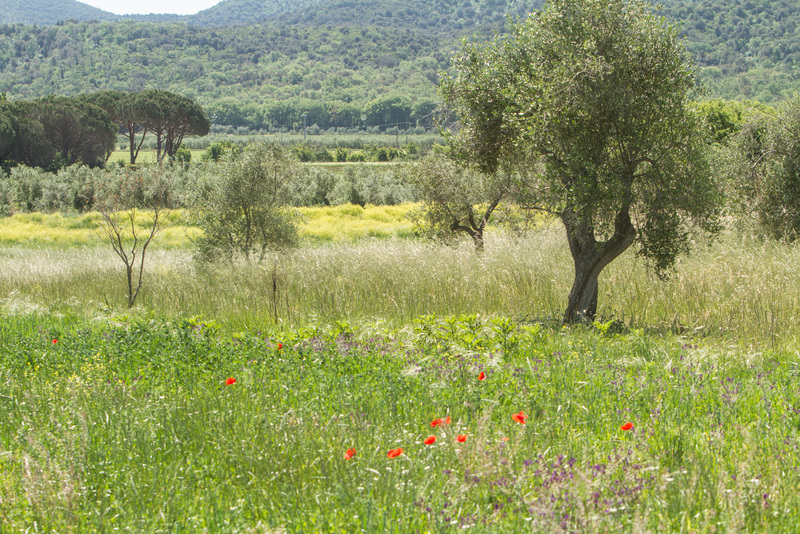 Roselle is still a place of wild, timeless enchantment enriched by the historical interest of the nearby Archaeological Area (MiBAC). 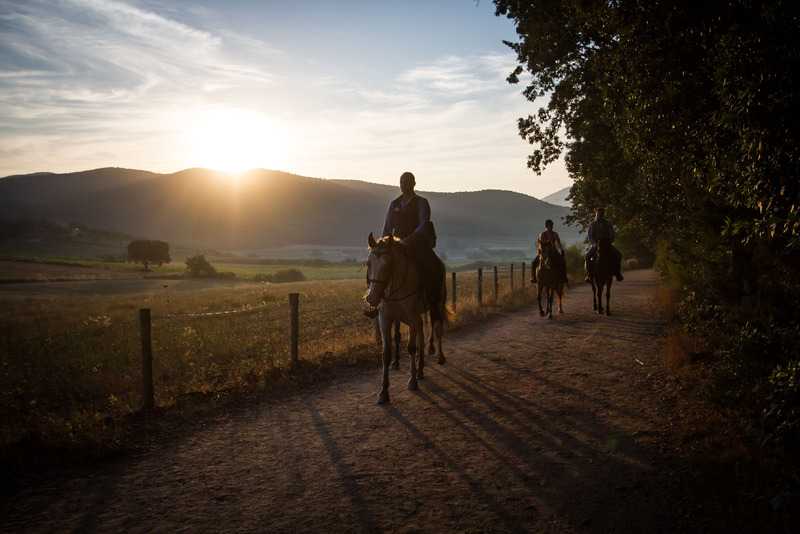 Managed by the Polo Museale della Toscana, the site is easy to reach, just a few kilometres from Grosseto along the state road to Siena. 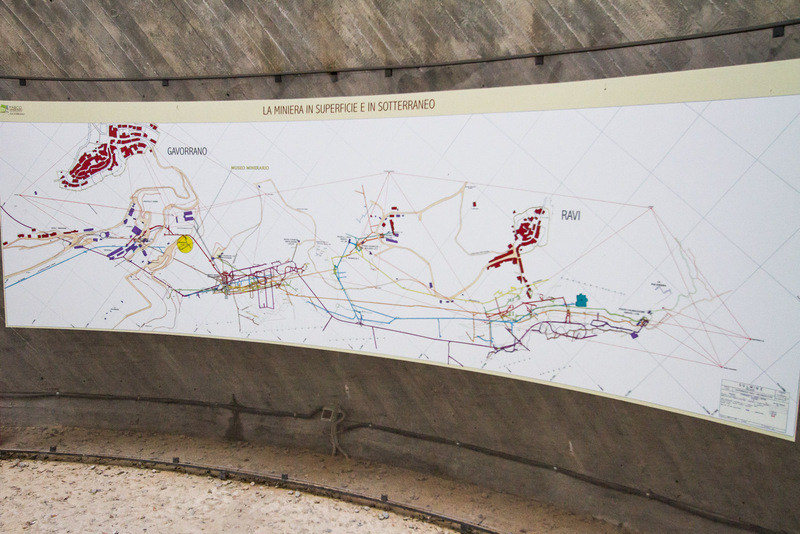 The path winds through the park for around two kilometres revealing the remains of civilisations that have roamed these lands from Prehistoric times: the tours guided by experts of the area and the excursions available should be on the bucket list of any archaeological lover. The traces of settled civilisations date back to the 7th century BC: the hills of Roselle and Vetulonia dominated the valley from a strategic position, where the presence of the River Ombrone was an opportunity for trade with the Val d’Orcia and the hinterland of Etruria. From its high position, Roselle has born witness to many important changes. Where the valley now extends out, once there were waters and lagoons: Lake Prile today is just a memory; subject to drainage works, merely a reflection of the waters remains in the memory of Roselle. 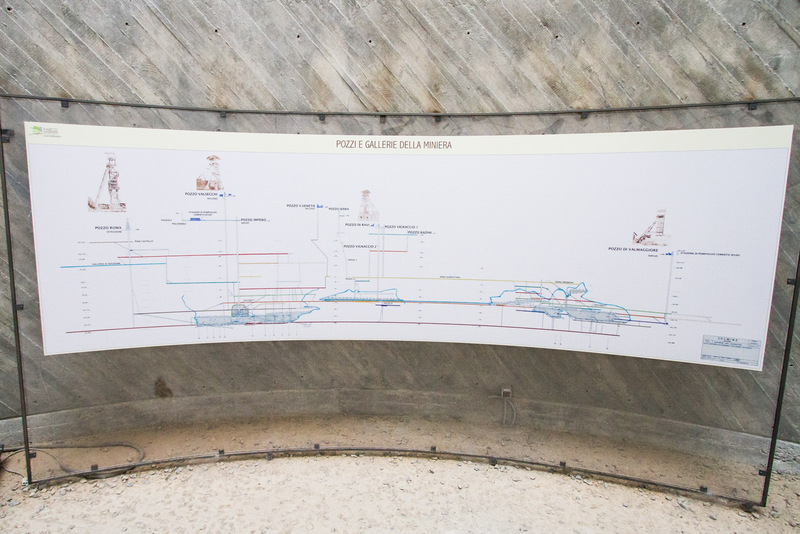 Yet there are many traces of an even more remote past: the main museum complex and the terrace walls that can be walked along are tangible signs of when the area was one of the most important Etruscan cities. Wandering along the top of these ancient constructions, our view extends over the countryside and the panorama: a gift for visitors who find themselves suddenly transported back in time and history, far from today’s frenetic world under a sky that seems to still belong to times gone by. 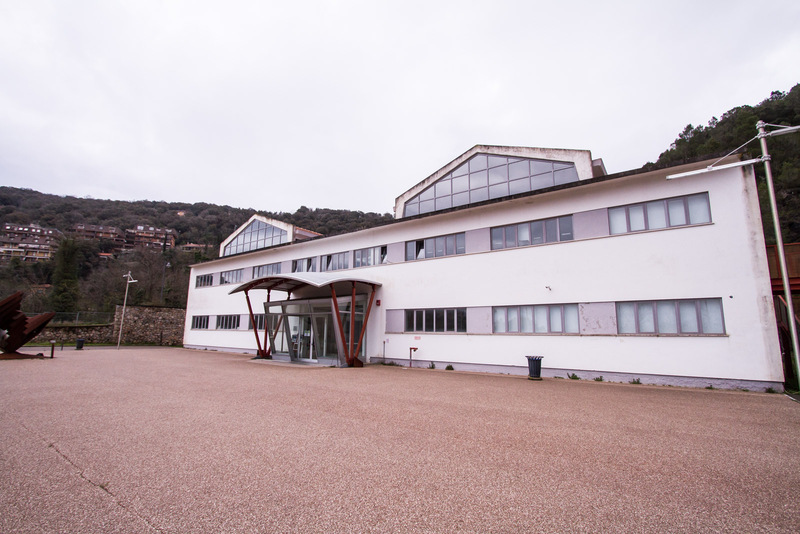 Colonised in Imperial times, the Romans left an important legacy to Roselle: in fact, the oldest thermal baths complex in the Maremma area can be found right here. But the Medieval period marked a moment of abandonment. 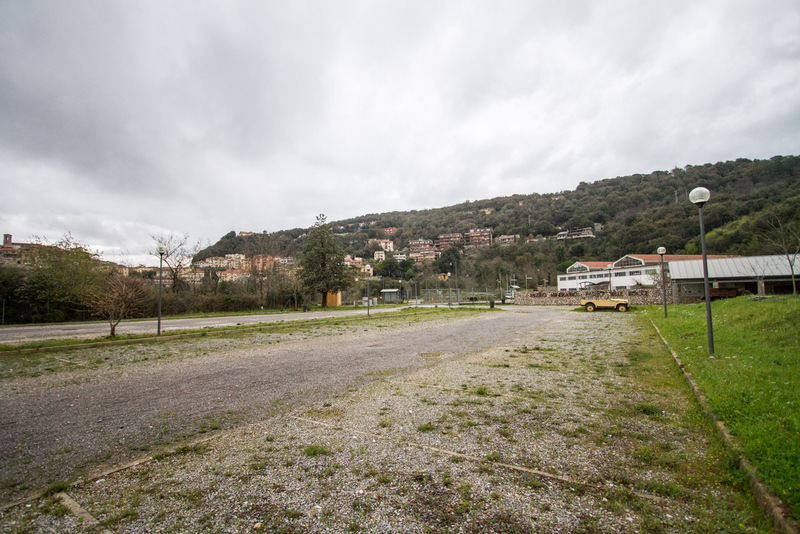 The Diocese was moved to Grosseto, and Roselle was transformed, day by day, into the archaeological site that it is today. 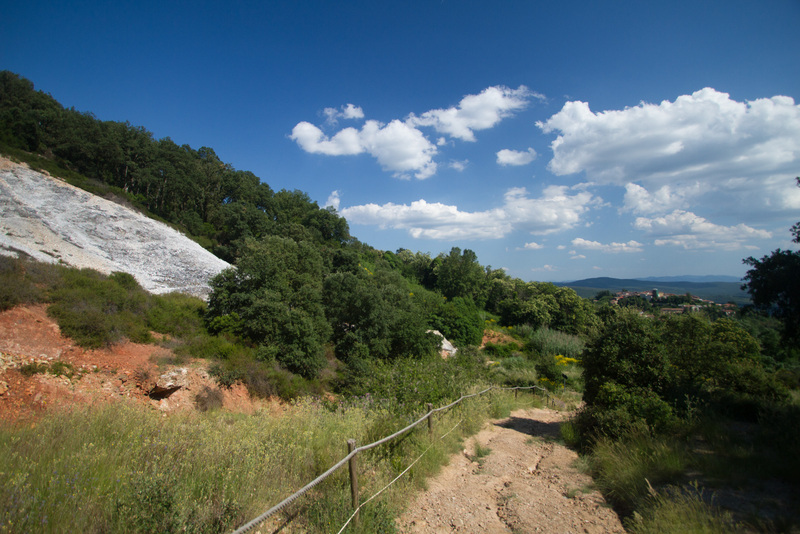 At the end of your walk through time and nature, you can spend a pleasant evening in the nearby Cava di Roselle; this abandoned quarry is home to a beautiful garden that hosts parties and events – from the terrace you can enjoy a breath-taking view over the Maremma area. 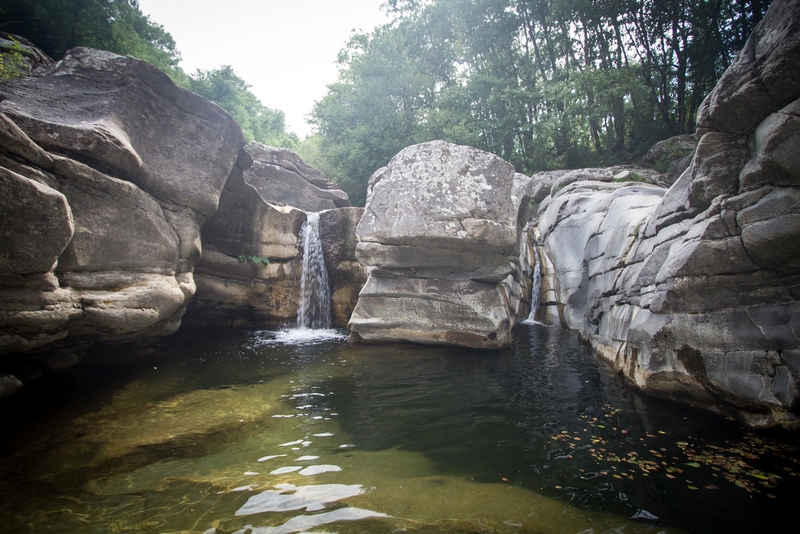 A story of stone and thermal waters in the very heart of the Val di Cornia. Sassetta is to be discovered wandering around the village and a soaking in the well-being. Leaving the seaside horizons from San Vicenzo behind us, our eyes move onto the infinite view of the green rolling hills that represent the true soul of the Maremma area. 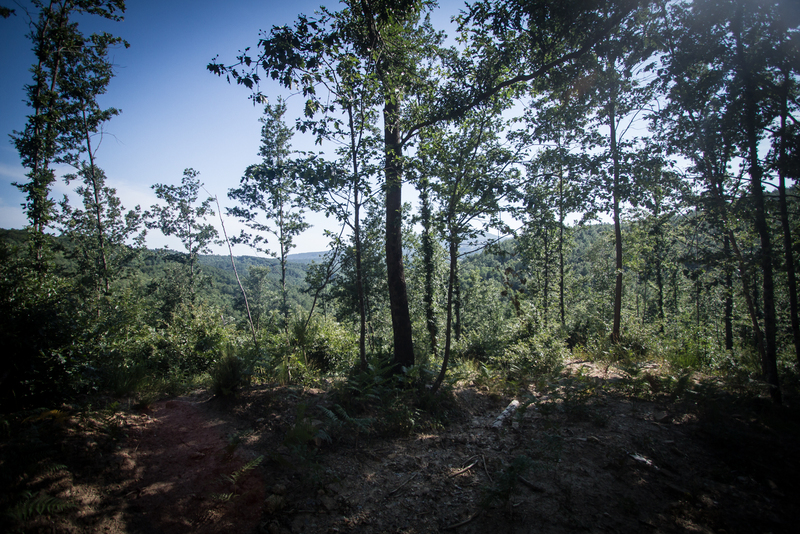 Sassetta is right there, overlooking the valley, immersed in the silence of a Tuscany that has maintained the pace of a time gone by; that slow, wild pace reflecting a candid, peaceful relationship between man and nature. 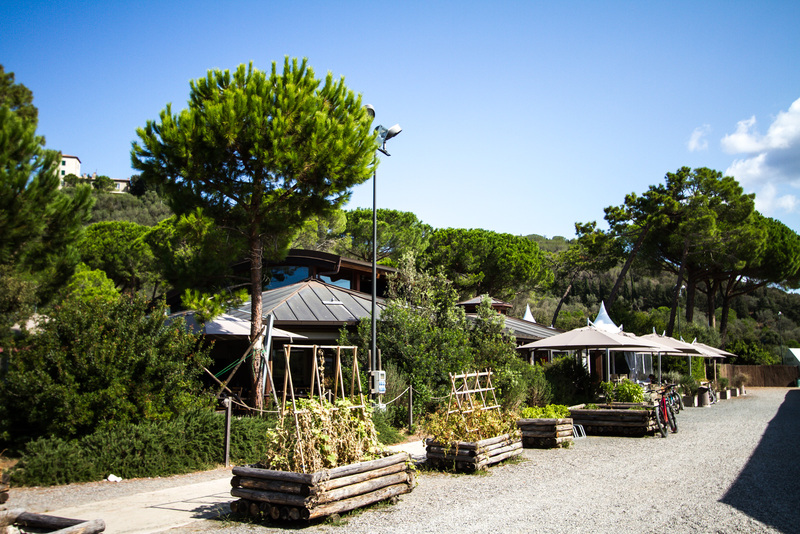 Once in Sassetta, the sea is a distant memory, about a 20-minute car journey from the coast of San Vincenzo and Marina di Castagneto Carducci, and visitors are met with a completely different atmosphere. New surroundings, both wholesome and beautiful. 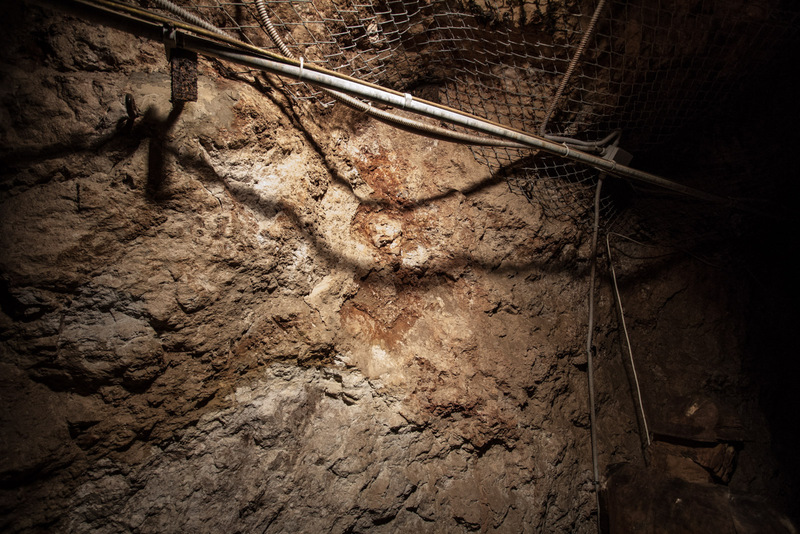 As fascinating and relaxing on the surface as it is rich and active underground: in Sassetta they extract red marble, a stone that sculptors and masons have used over the ages to decorate churches, homes and buildings, as well as the very roads of the village. You can admire the various nuances of red through to pink as you wander among the stone houses, the enchanting homes of times gone by. 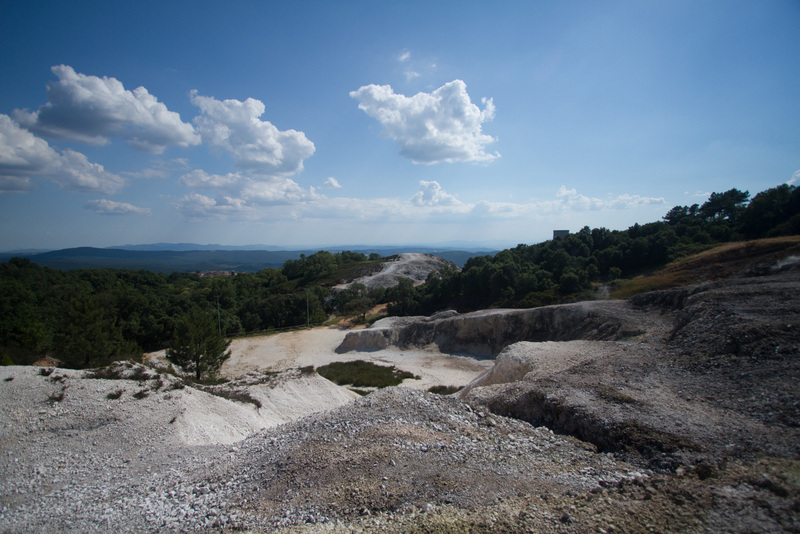 The marble hills of Sassetta preserve an ancient history, which can be traced through the many ammonites, fossil shells of invertebrates dating back to the Cretaceous era. 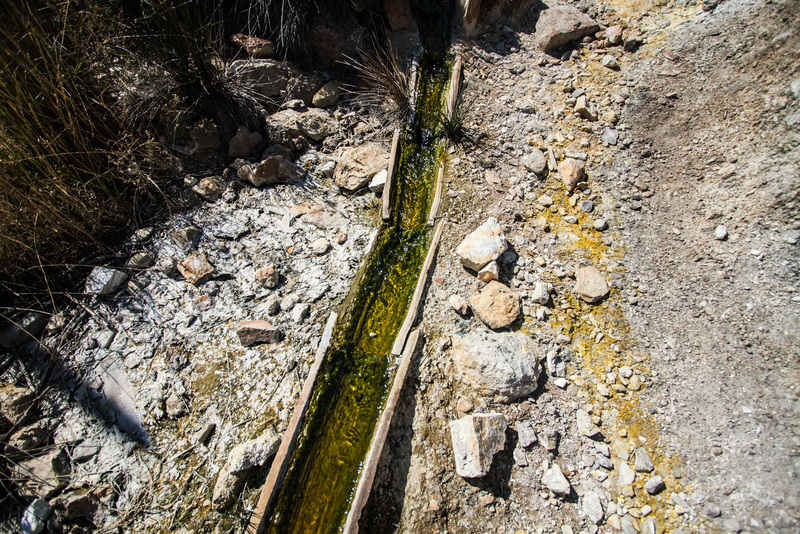 But the bowels of this land have not only given birth to prestigious red marble: the subsoil boils and brings heat to the surface through thermal water sources. After an interesting visit of the historical centre, there is nothing better than a regenerating bath in these waters, which have been renowned over the years for their relaxing effect on one’s well-being. 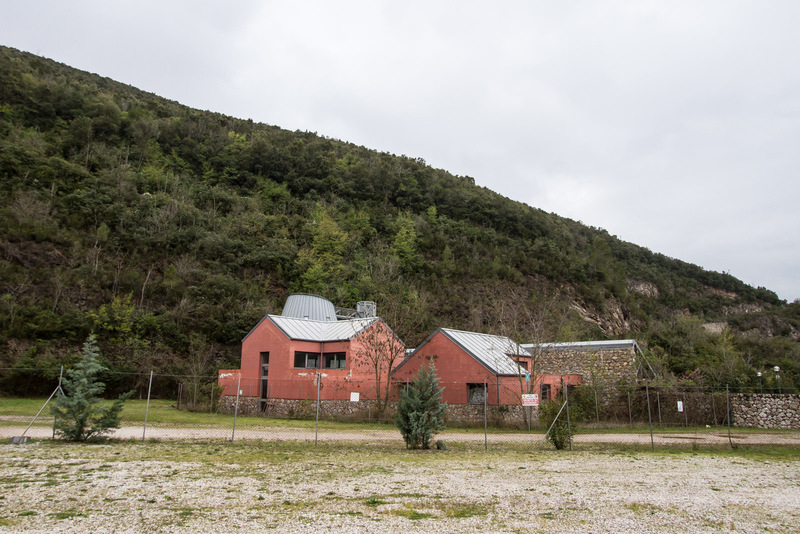 Not far from the village, just ten or so minutes by car, nestled in the uncontaminated nature of the Poggio Neri Park, you can find the “La Cerreta” thermal resort and agricultural farm in a single biodynamic organism. 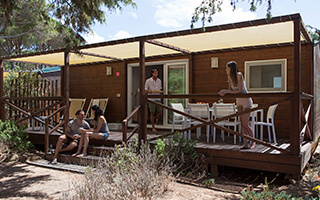 A place far from the frenetic rhythms of daily life, where you can satisfy the senses: abandoning yourself to the calming thermal waters and sampling wholesome products, regenerating yourself in contact with nature and its calming landscapes, experiencing first-hand the life of a farm and its animals. 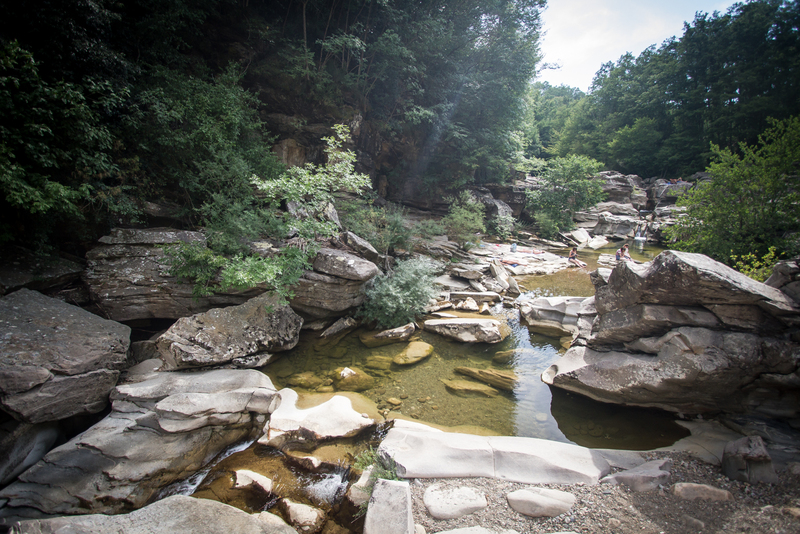 Go on excursions in the forest park, Poggio Neri: the blooming natural area that skims Sassetta, characterized by the presence of the chestnut tree, is crossed by trekking paths and bridleways. 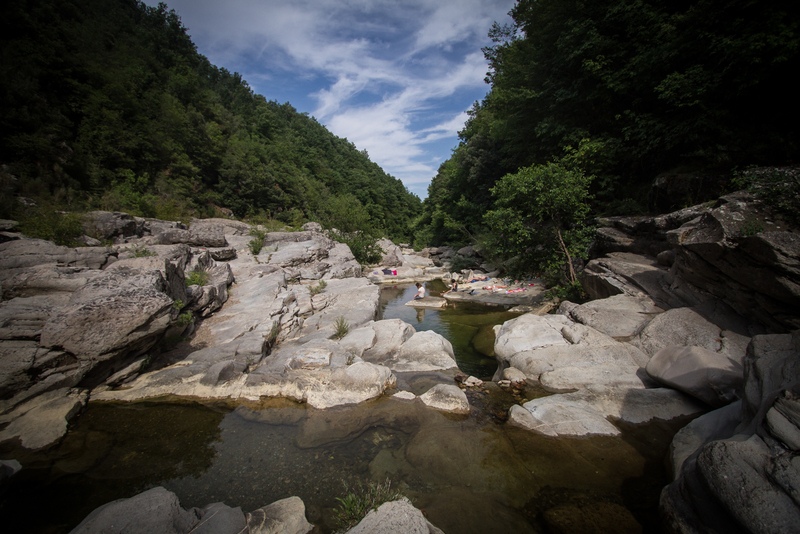 No Comments on Sassetta: nature, thermal waters and relaxation. 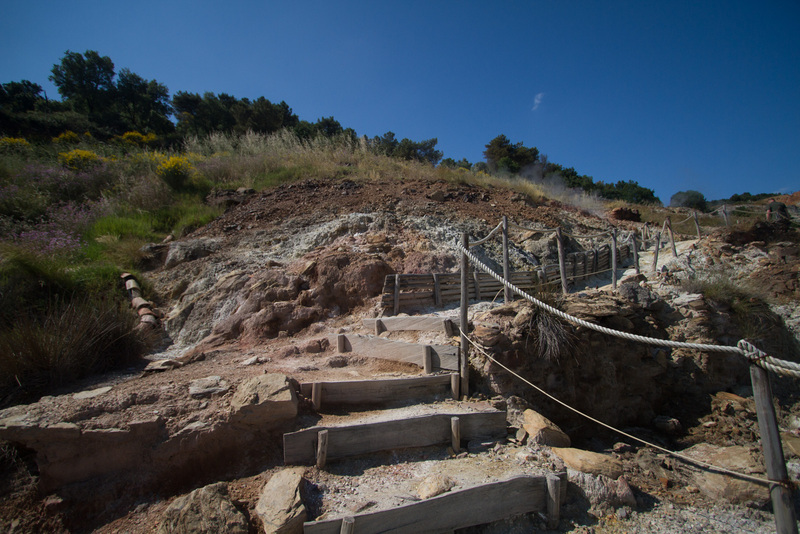 Tuscany apart from being rich in beaches and hills also hides a huge quantity of active geological features where the volcanic activity of the distant past is still visible with traces on the surface, none more clearer than in Monterotondo Marittimo. 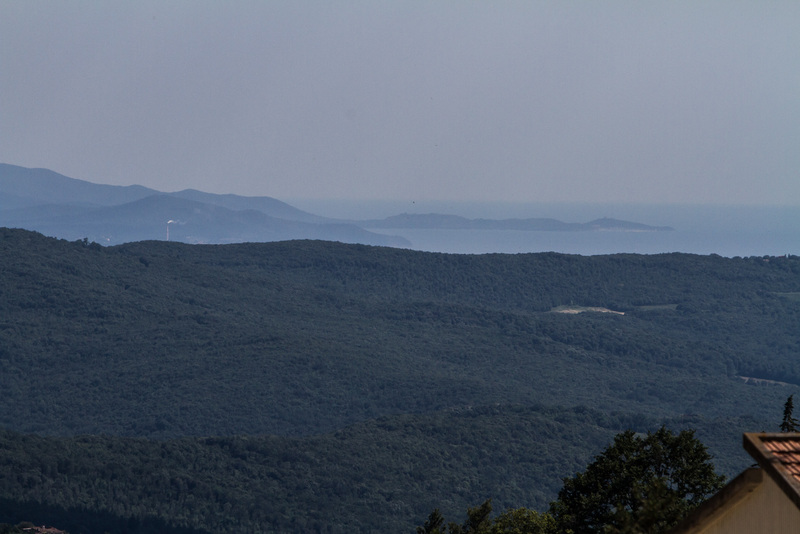 The view from Montetondo back to Punta Ala.
About one hour from Punta Ala the hills of Monterotondo are visible to the whole area, characterised in the middle of the wilderness by some cooling towers, where 20 percent of the Energy used in Tuscany is generated. 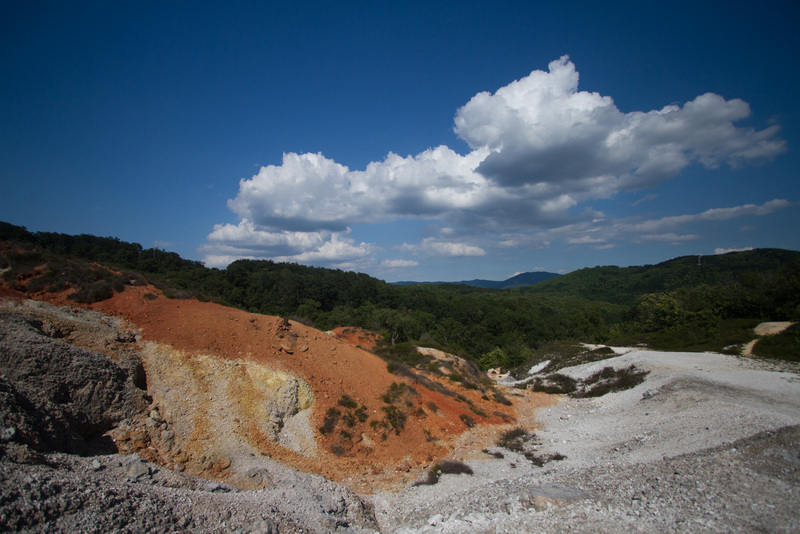 Monterotondo is built on the rocky hills referred to as the “Colline Metallifere,” this is a reference to the high quality of minerals that are contained within the rocks and that have been mined for thousands of years. The Biancane is an interesting formation as on the surface it is possible to see water and steam bubbling to the surface the and the resultant formations that form in those conditions. Water bubbles from the ground with the steam. 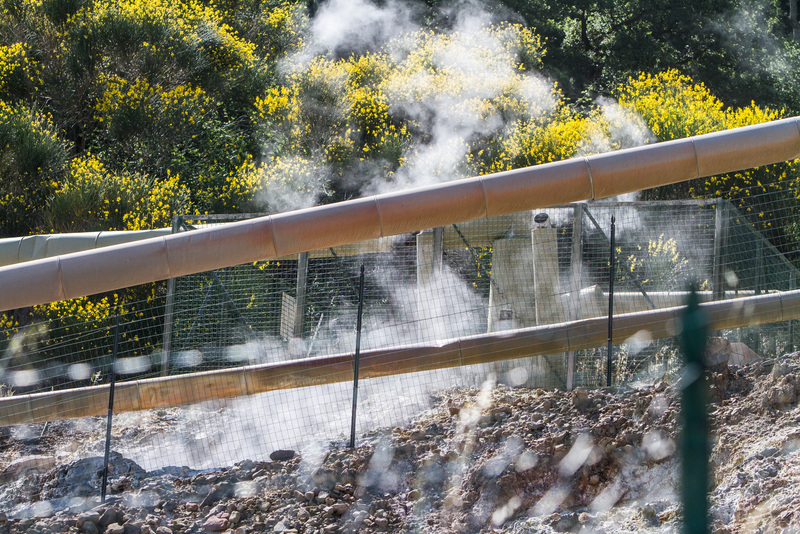 Steam pipes take the water to the power plant. The natural Laguna, with tsteam rising from it. 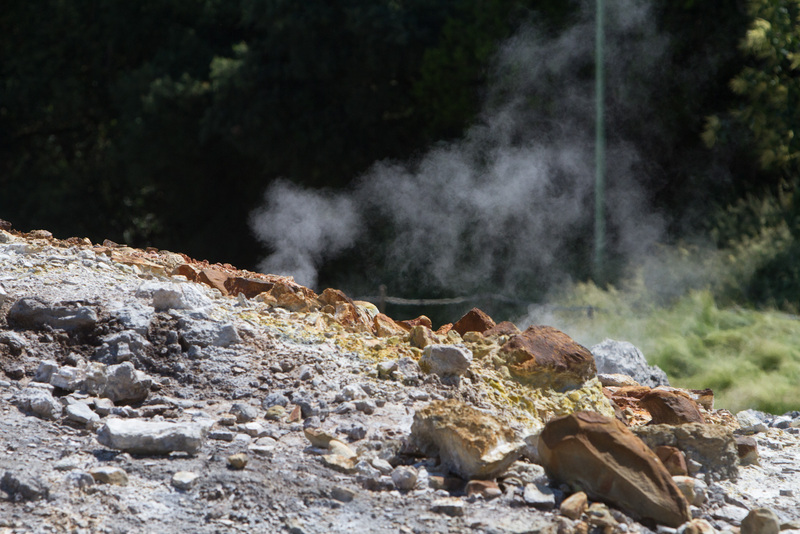 Steam rises from teh rocks and sulphur is deposited on the surface. 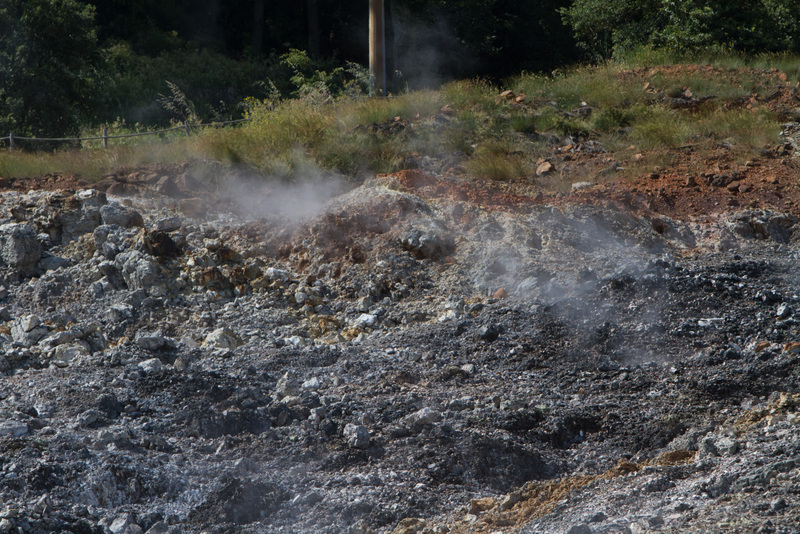 Steam vents are found across the area. 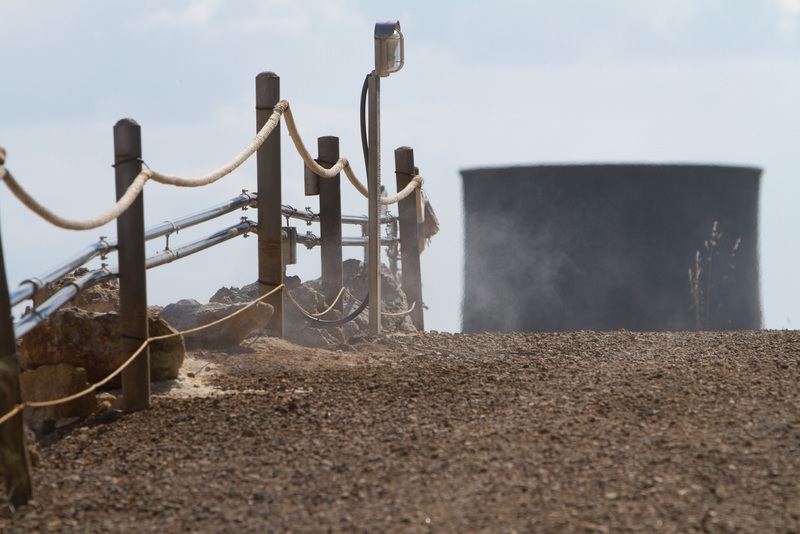 The path and steam vents are clearly visible with the cooling tower in the back ground. 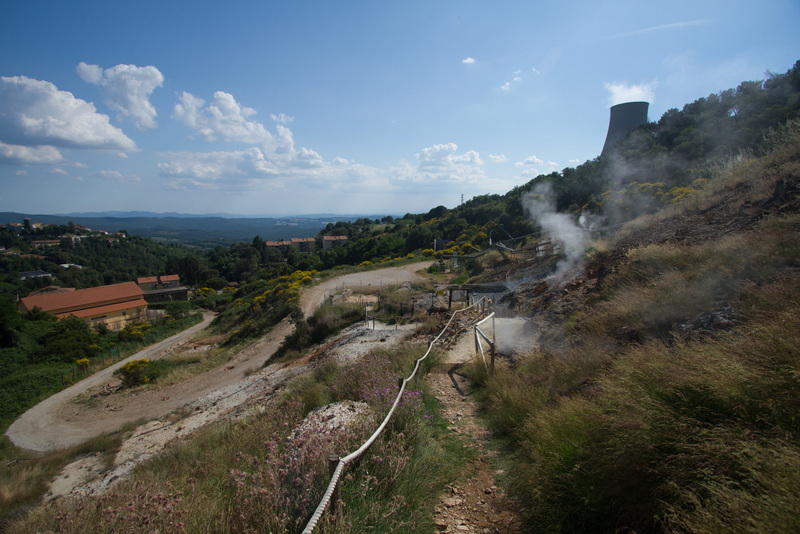 Steam rises from the ground with Monterotondo very close, the locals live with the natural resorces. 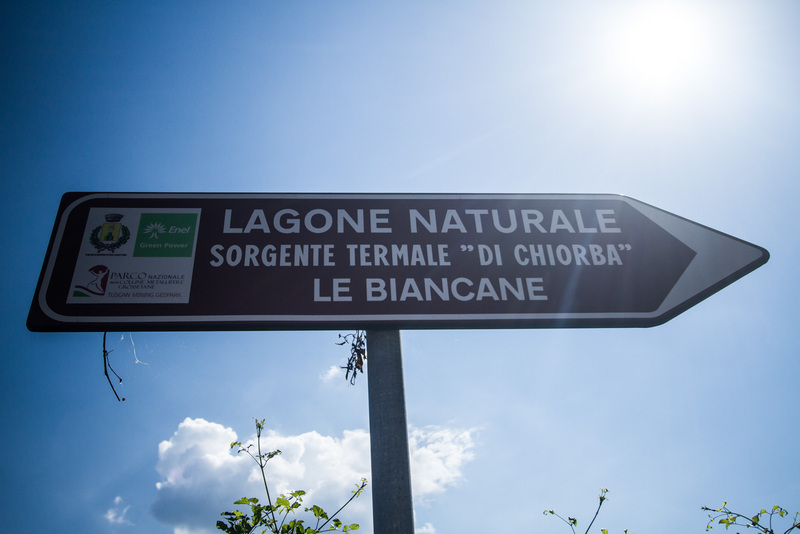 The main part of “Le Biancane,” involves walking around the features ont eh side of the hill. With 2 hours at a very easy going pace it is possible to explore the well sign posted routes and take in the really quite special location. 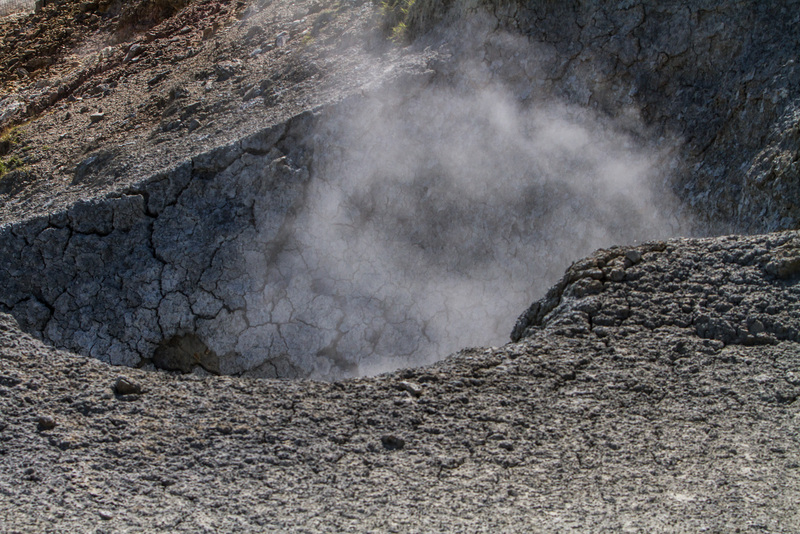 The area includes springs of hot water, boil mud pits and steam rising from the rock formations. The road up to the Biancane. Hot water is channeled down the hill. The path up the hill takes people through the field of volcanic features. 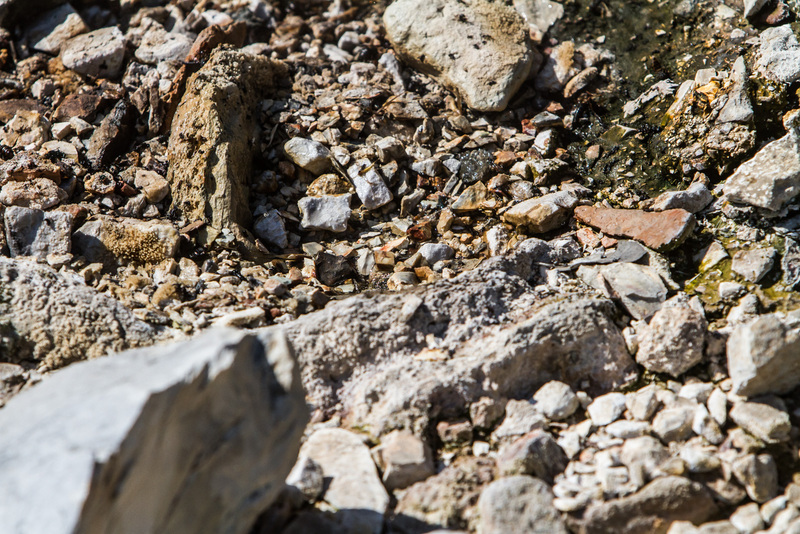 The minerals are clearly visible on the surface of the rocks. 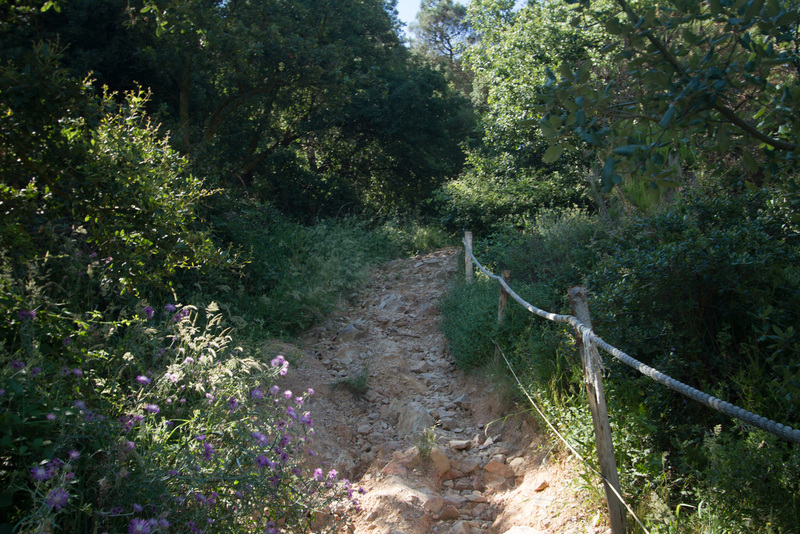 The path takes tourists around the hill to better viewing areas. A view next to the surgente. The Biancane area with the hills in the back gorund across to Montioni. 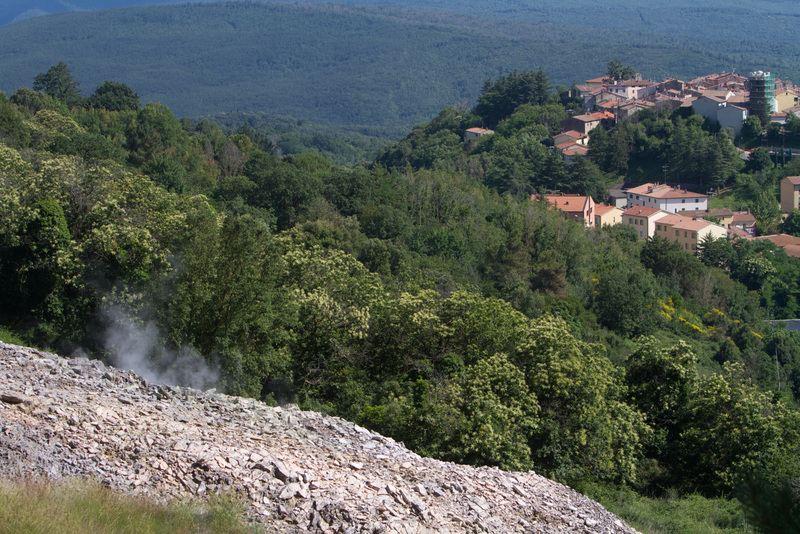 The visible mineral deposits and view across to the bay of Follonica with the power station also visible. Looking down across the Biancane with multiple steam vents rising. 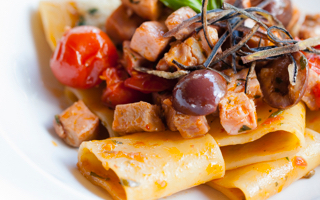 “Le Biancane,” is located on the out skirts of the town of Monterotondo. There are many industrial style buildings around that all are dedicated to the natural features where hot water and steam mix. 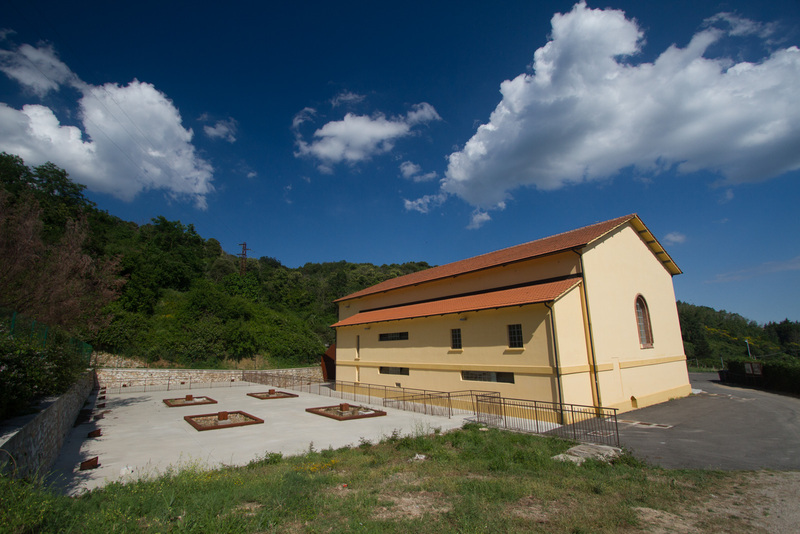 The parking and associated power station building. 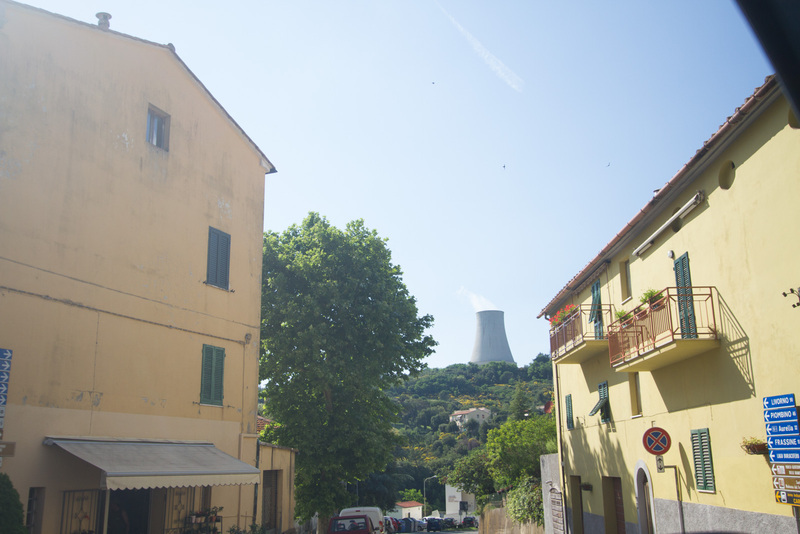 The power station is close to the town, its hard to not know here where energy comes from and the importance in the life cycle of the town. 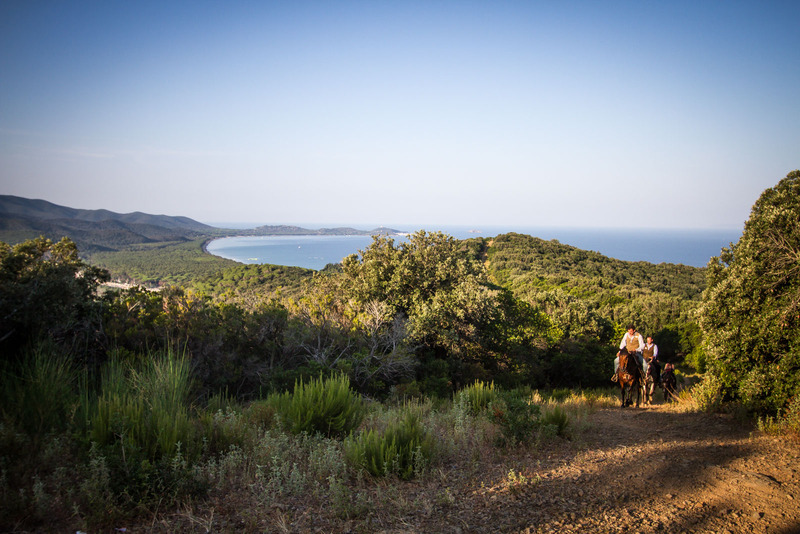 Fundamentally Tuscany is not just beach and sea it is also rock and mountains, which contain by that of their volcanic creation a significant amount of other features that when explored are a great part of any time in the Maremma. 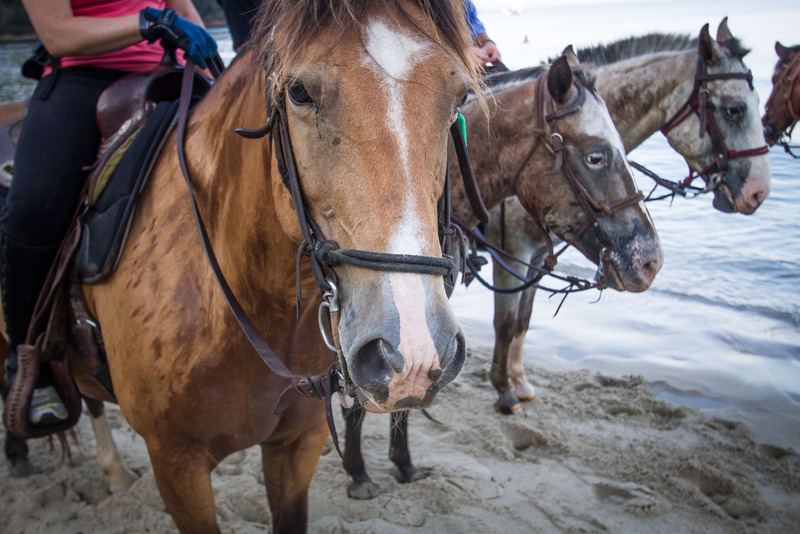 Take a ride to the beach, but take man’s oldest form of personal transport. 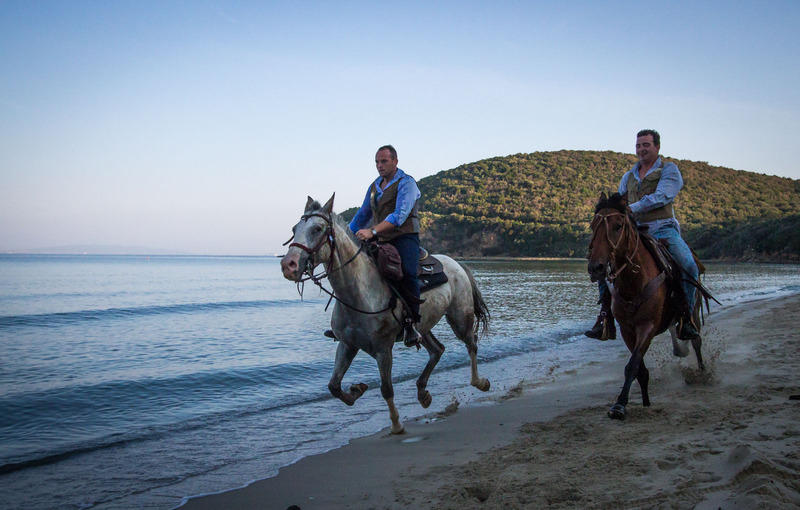 The Maremma has a long history with the horse, used for hundreds of years by “butteri” to herd livestock through the swamps and fields and woods. 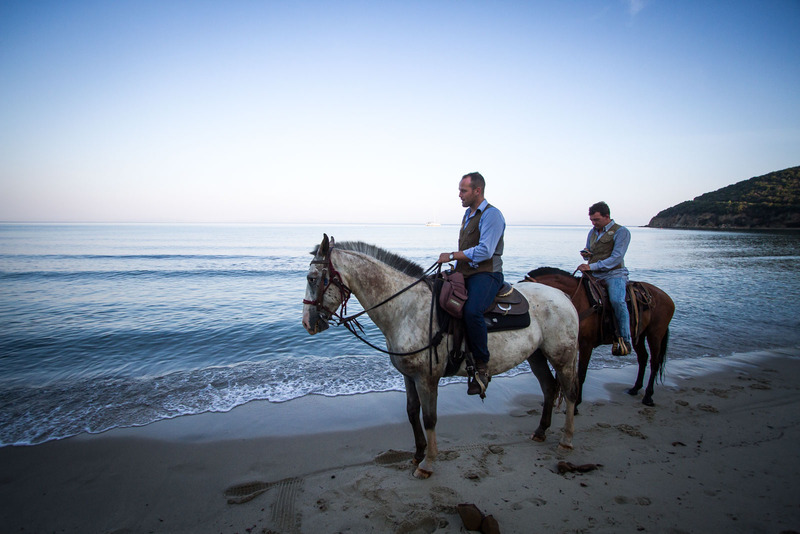 We took a ride with Cavallo Avventura to discover the beaches and woods around Punta Ala by a horse. 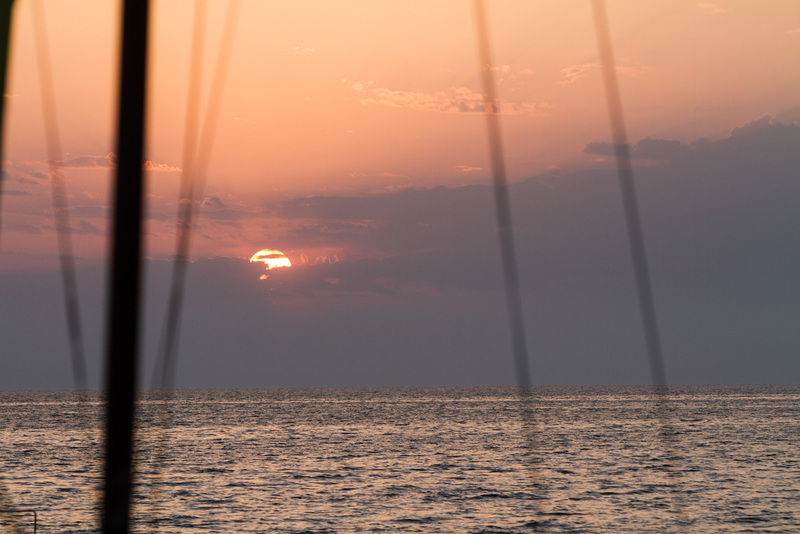 The sunrise tour in the morning. 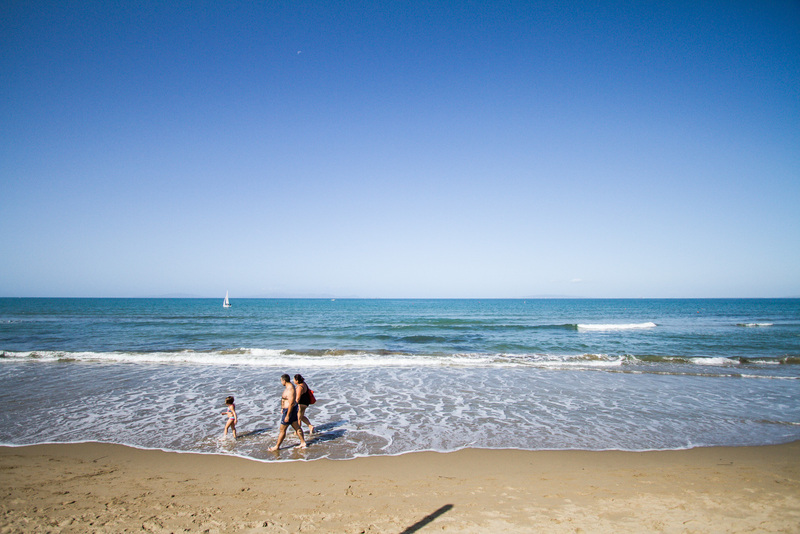 The beach is our destination, quiet in spring time. 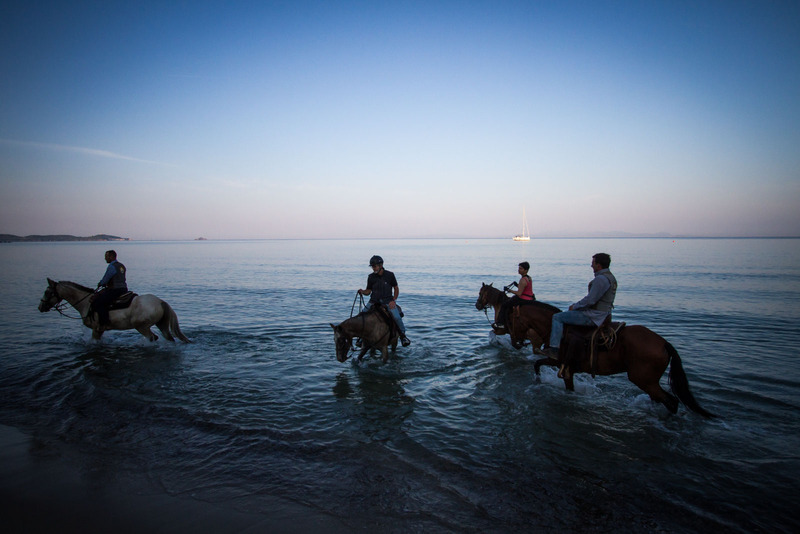 A quick dip with the horses. The horses are docile and easy going. 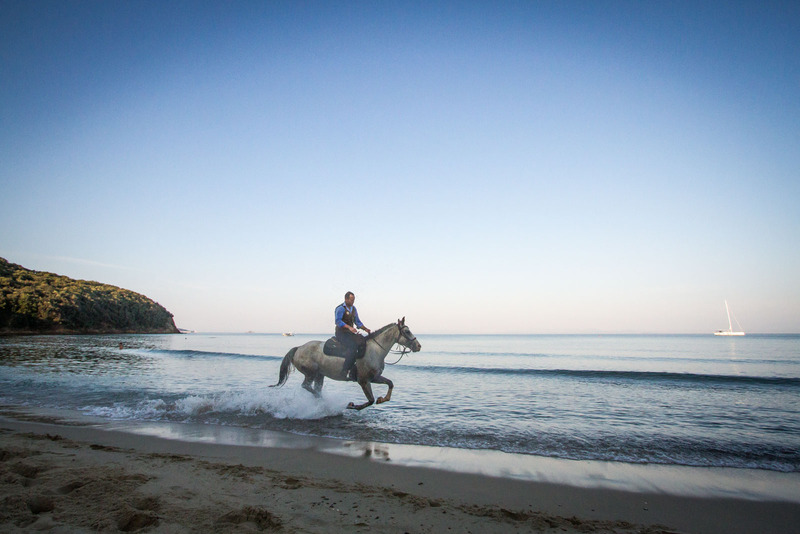 The dream of riding on the beach. 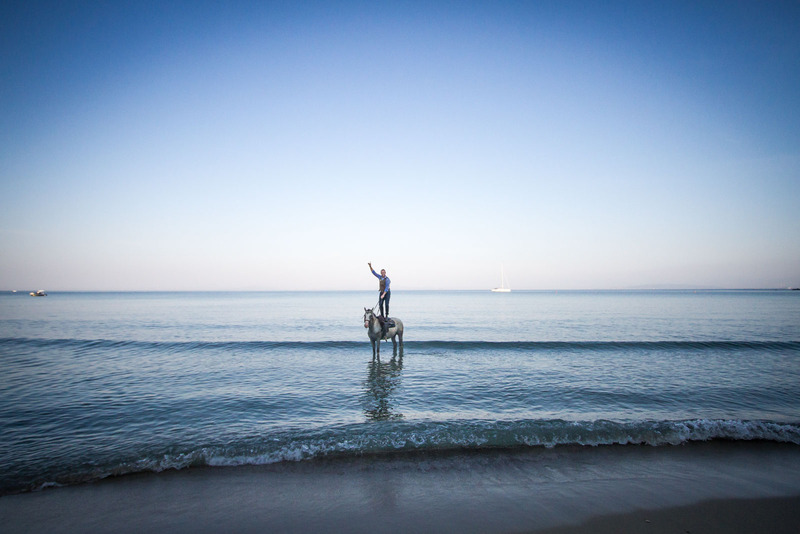 Whichever way you think the sea a horse a beach, a magic morning light. 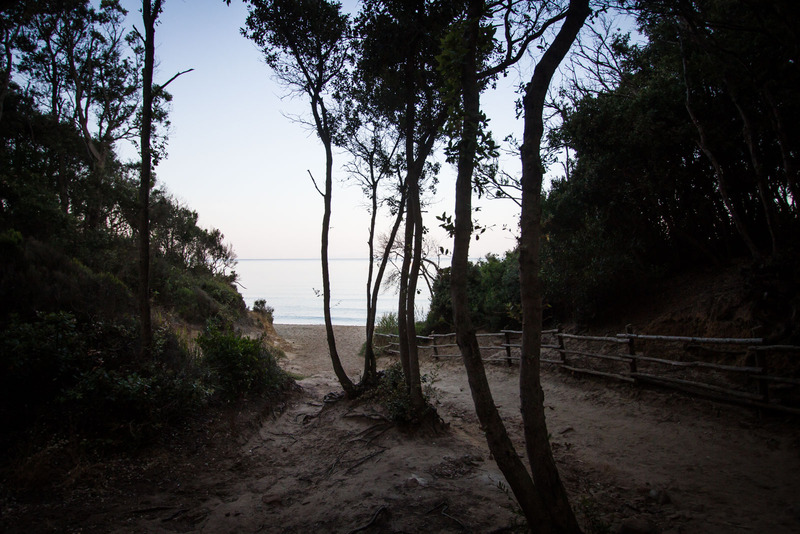 The view from about the trails back to Punta Ala.
Operating all year, contact them for more information. 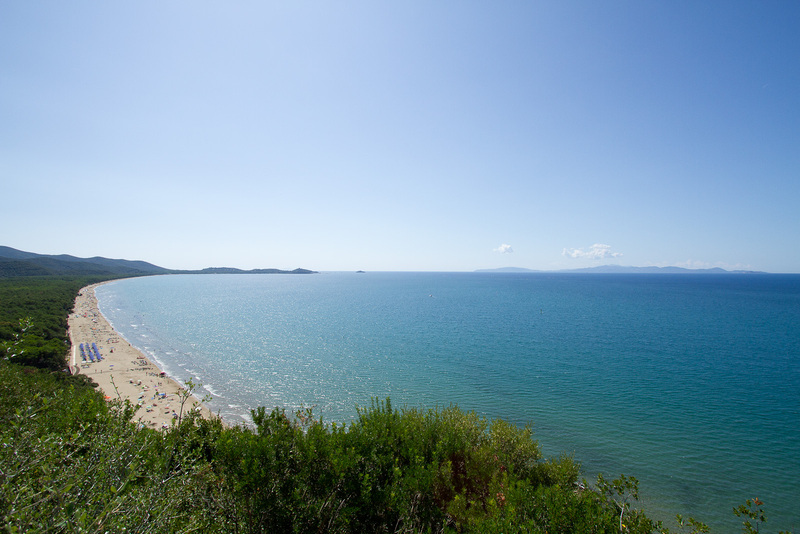 The Maremma although now a beautiful location for nature and beaches, was once a very important area for mineral extraction and related activities. 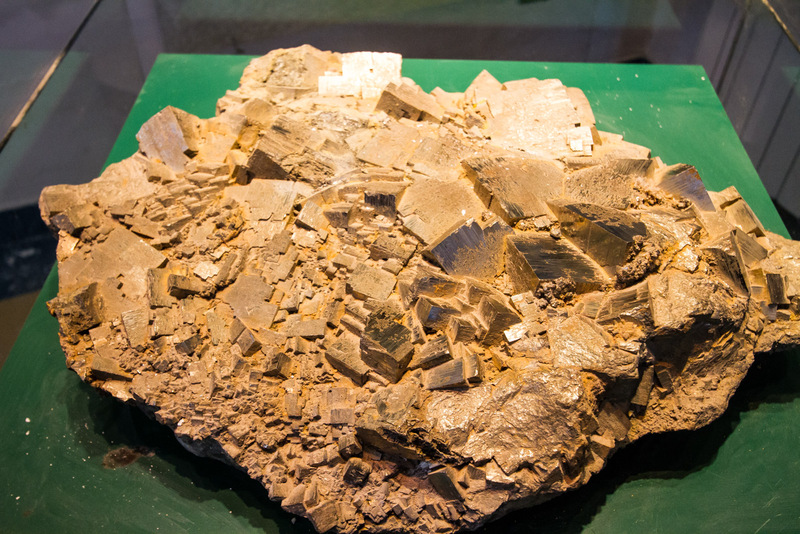 Going back to pre-Roman times, minerals have been a fundamental part of the area. 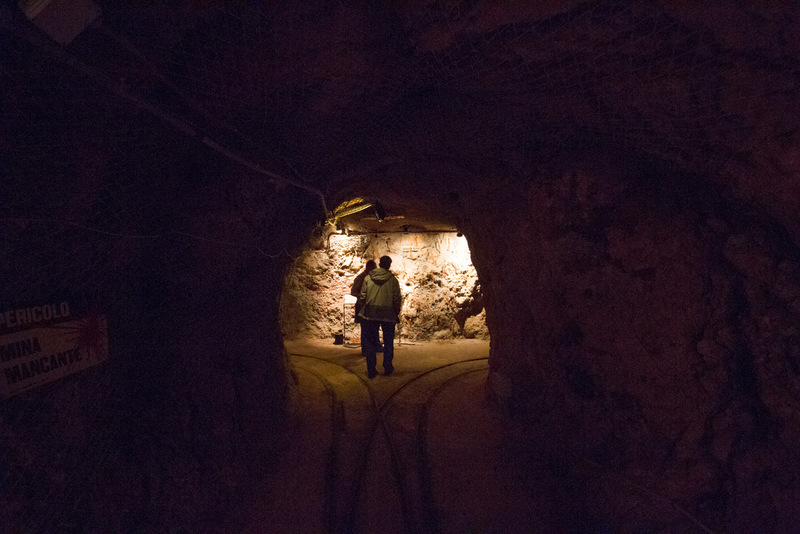 The current mine shafts are not all accessible but extend up to 300 meters beneath the surface, an impressive feat of engineering that we explored for the afternoon. 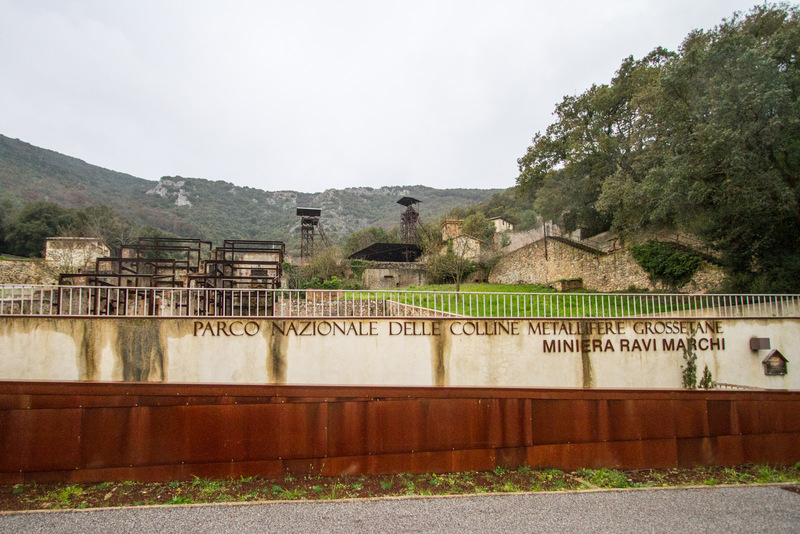 To try and understand how important it we visited the Museum of mining in Gavorrano which is an ideal family activity to do in the area. The visitor center contained lots of things interesting for all age groups. Inside the visitor center the guides will take you on a brief tour of what can be seen in the area before entering the museum complex. 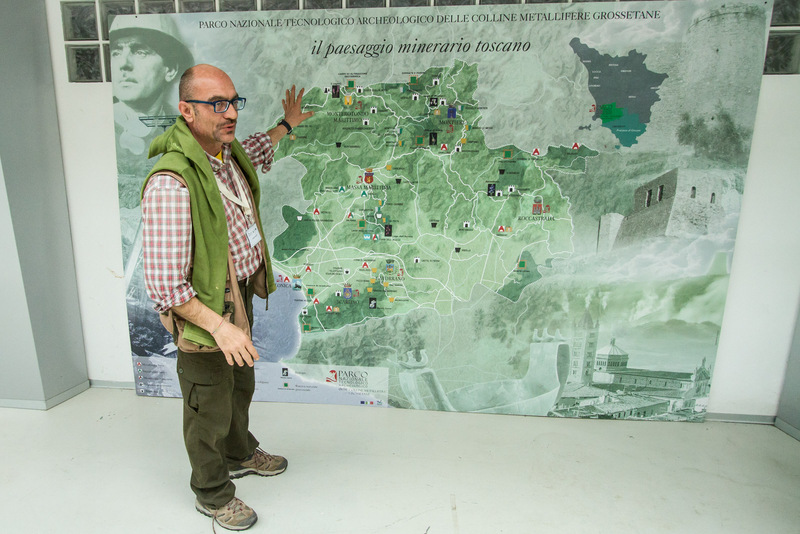 Fabrizio – head of the geological tourism elements of the park explains the various interconnections and history of mineral extraction in the area. 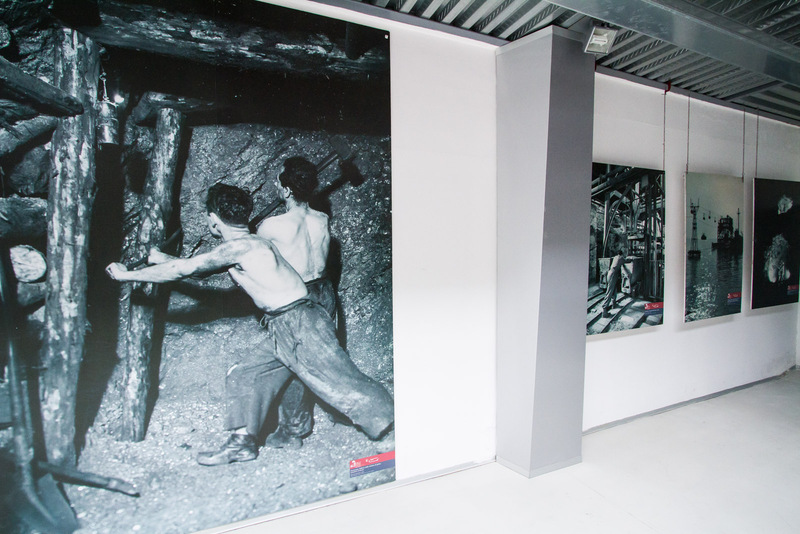 The visitors center contains a range of displays that show some key elements of the mining activities that took place in Gavorrano. Outside the museum and mine entrance Visitors will find a range of things on display that were actually used when the mine was active. In modern times compressed air driven machinery was used in the mineral extraction process. 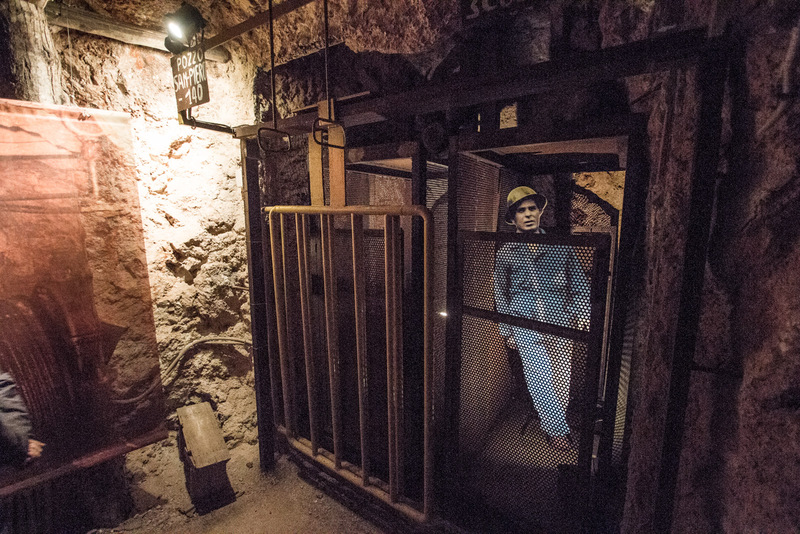 The entrance to the mine is within the museum and lies under the cone display area. 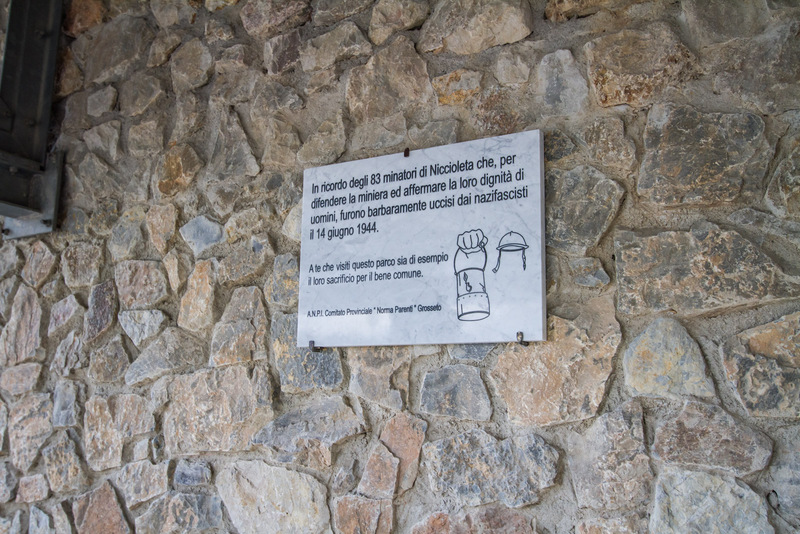 A plaque commemorating miners who lost their lives around the time of the Nazi occupation of Italy. 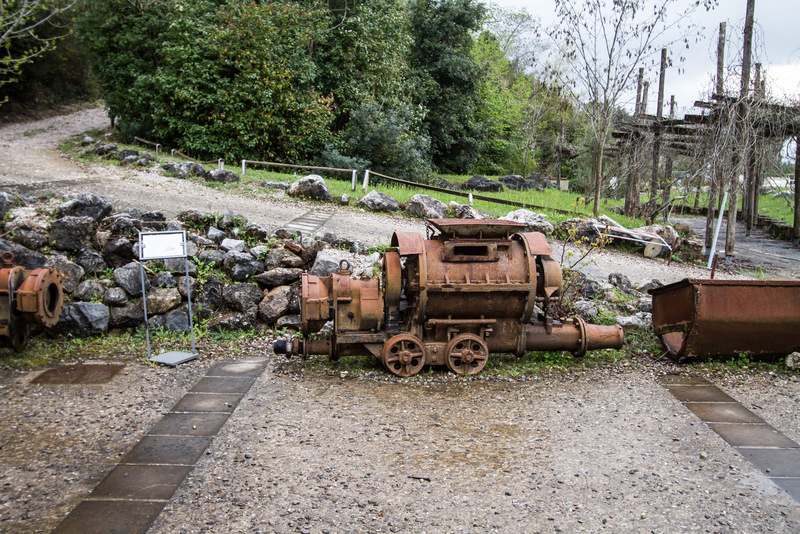 Outside the museum there is a selection of machines used in the mining process. 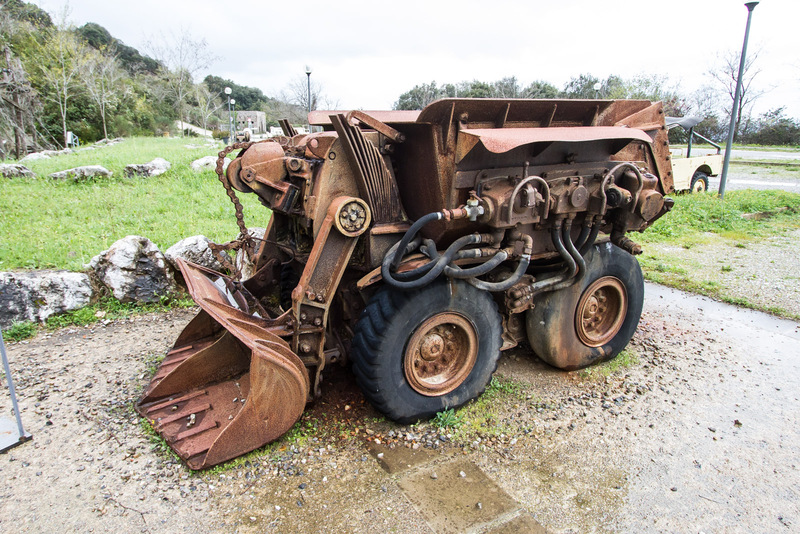 This machine was for creating stabilising cement. 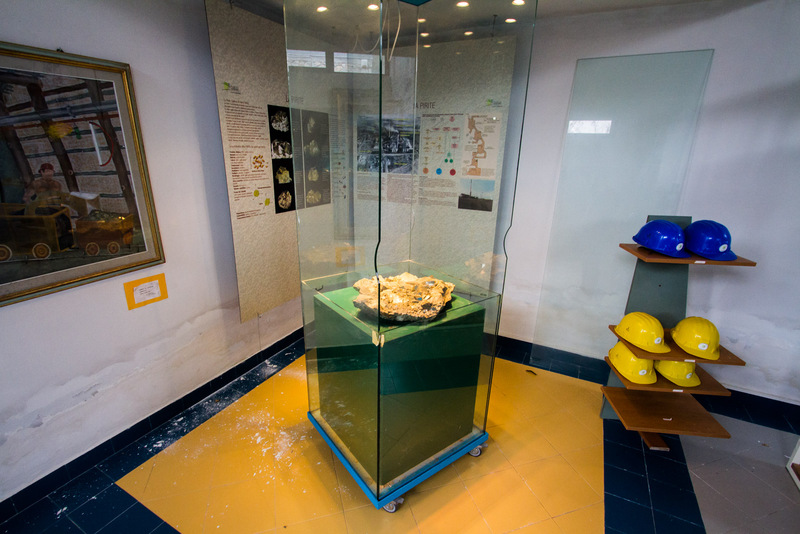 museum, the curators have gathered together a range of minerals and other objects that help explain the significance of the mining activities and why Gavorrano was so important. 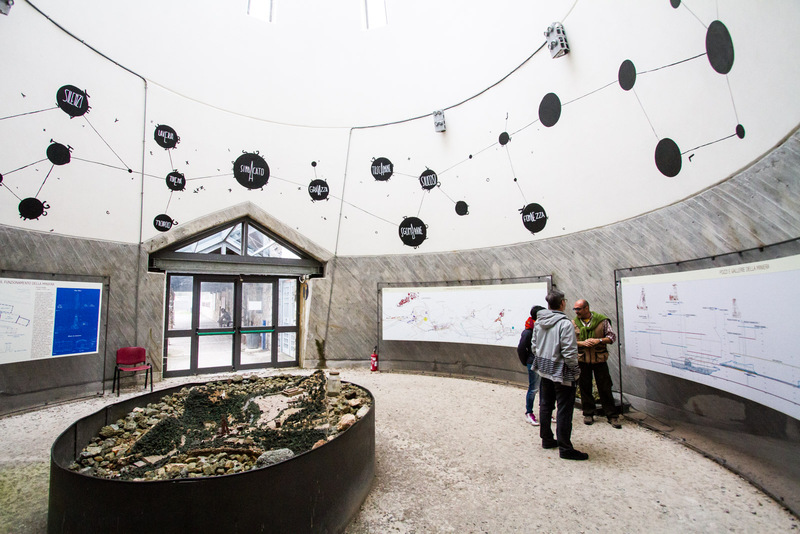 This includes displays of minerals and materials which people can get a hands-on with and learn about the rocks of the Maremma. 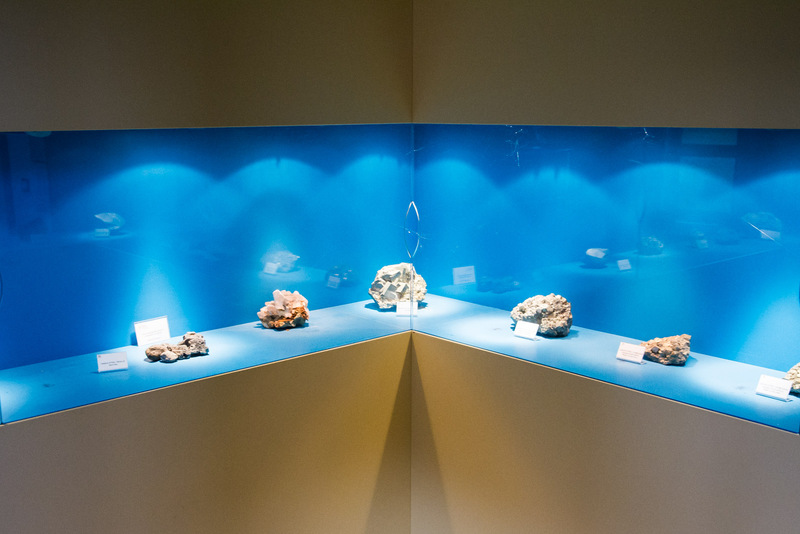 The museum contains a mineral collection that is on display and are examples of the minerals found underground in the area. A large piece of Pyryte is on display. Pyrite has a gold luster to it, and was used significantly for sulphuric acid production before oil superseded it. Notice the crystallization on the mineral. 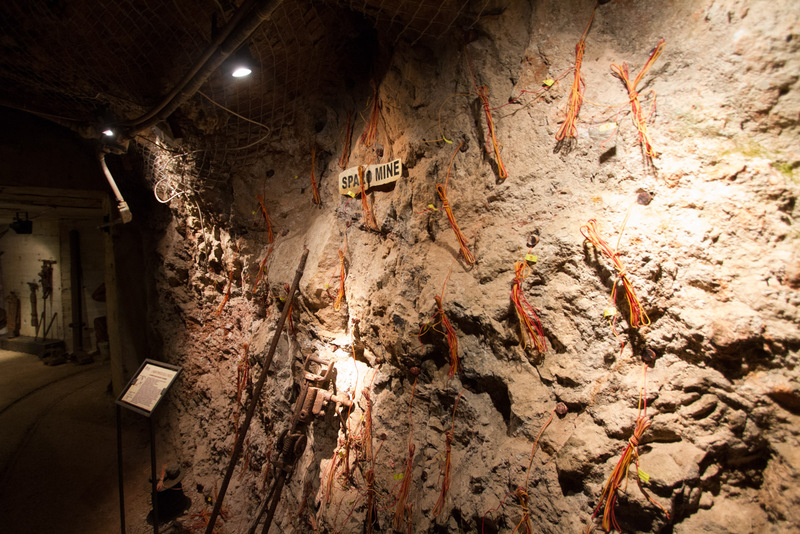 The display area before entering a mine. 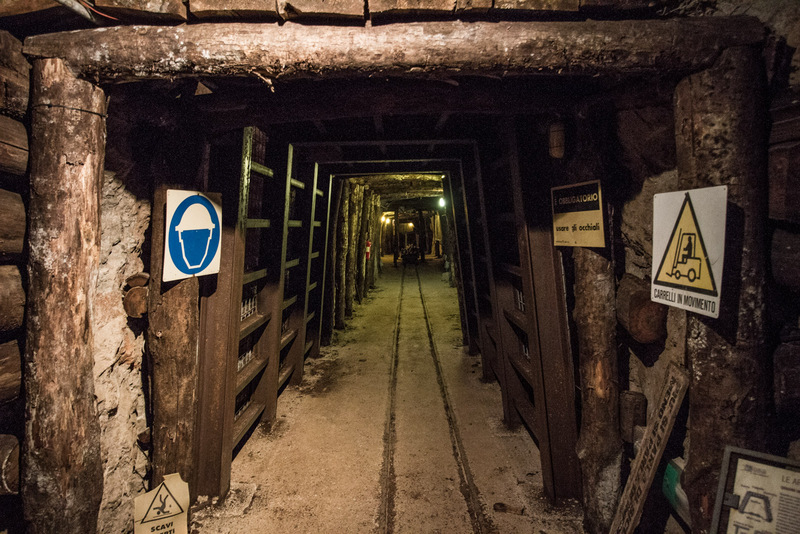 Following the instructions of the staff, we entered the mine which has been prepared to give visitors an immersive experience about what they might find underground in a real working mine. 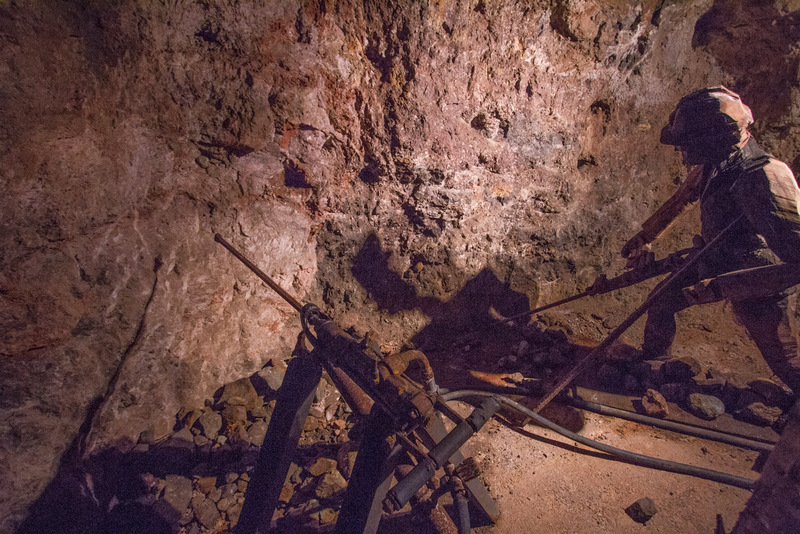 Inside the mine visitors will find examples of how the miners worked. 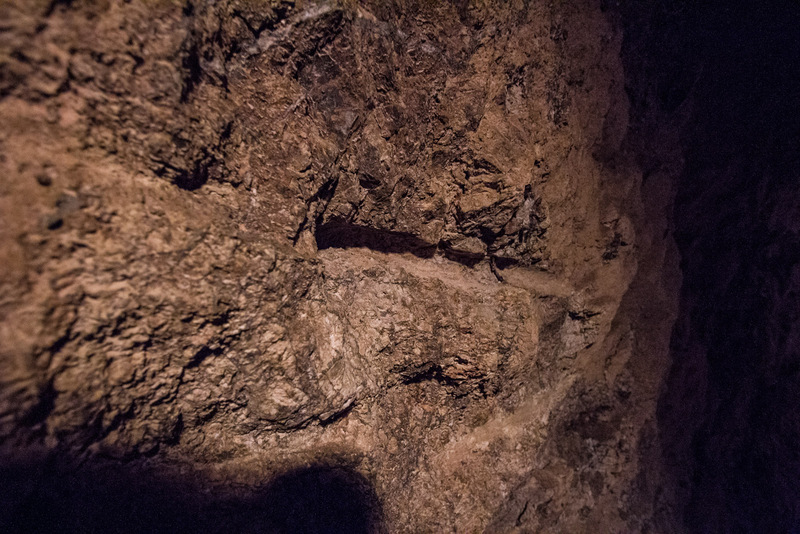 Mineral masses can be seen in the mine within the wall areas. Mine rail tracks and a spilt in the tunnels. 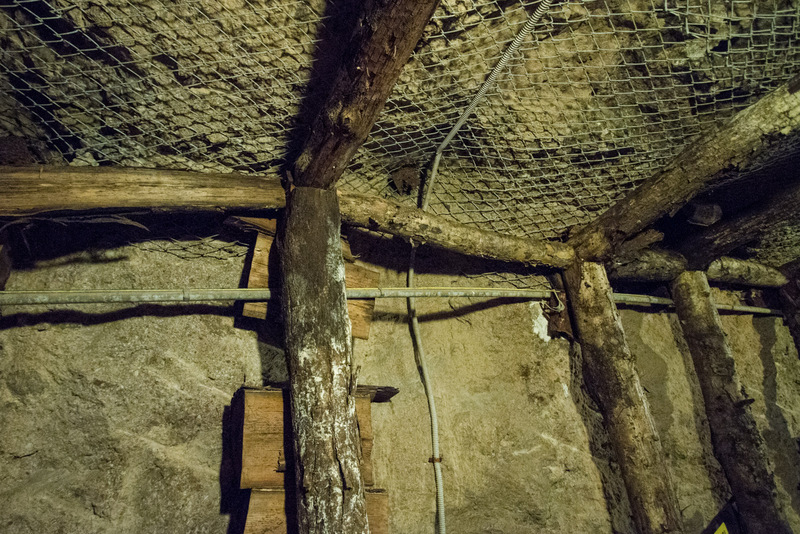 This part of the mine has examples of the different methods used for propping up the walls of the mine. A sign of the air drills that were used to dig the rock away. Mine props made of wood. The mines had to be ventilated. Here is a vent shaft. A working air compressor drill is set up that is switched on for visitors to understand how it worked. 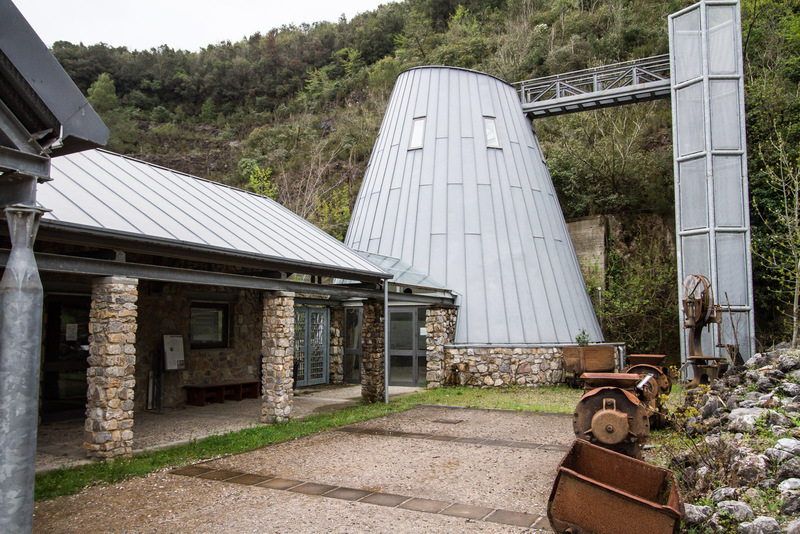 Once the tour inside the mine is complete visitors are able to visit the amphitheater and also the village is close which gives an important context to the area. 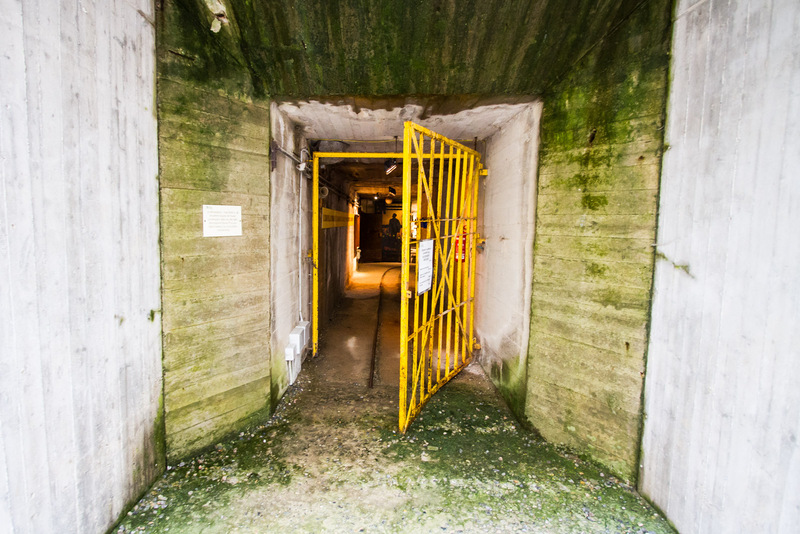 The exit to the mine. 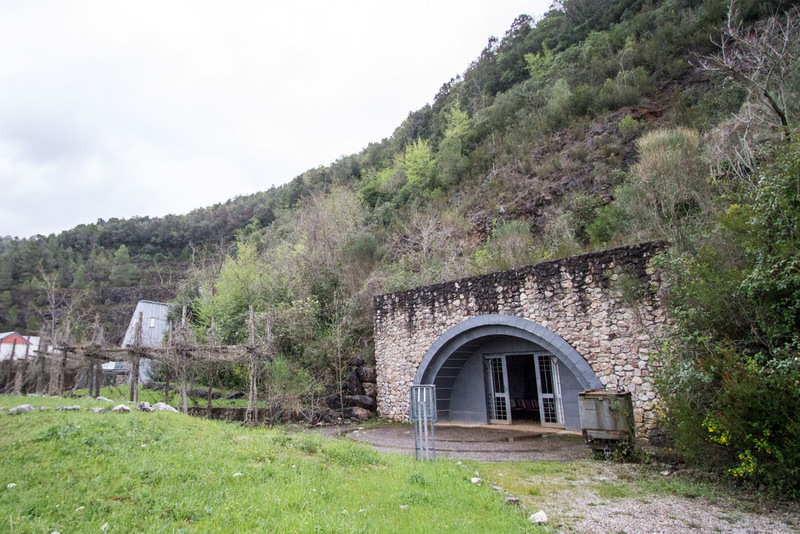 The mine is located very close to the village and was the reason the village existed. 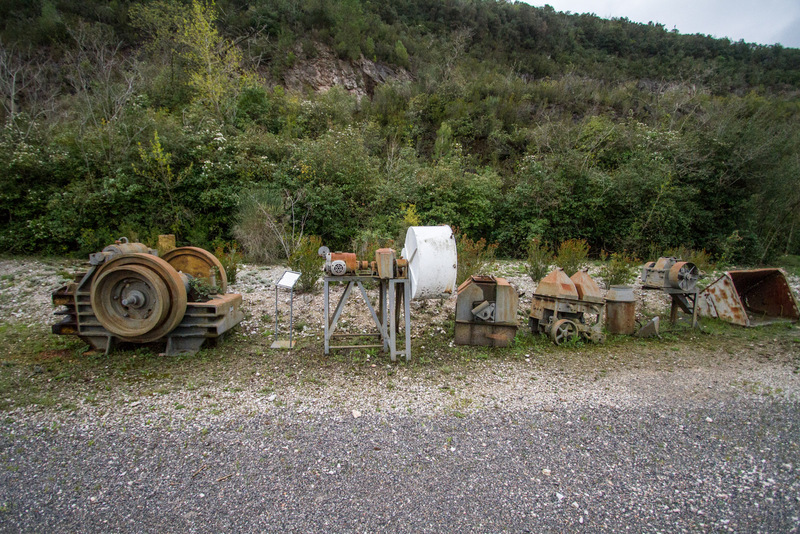 Mining tools outside the mine. 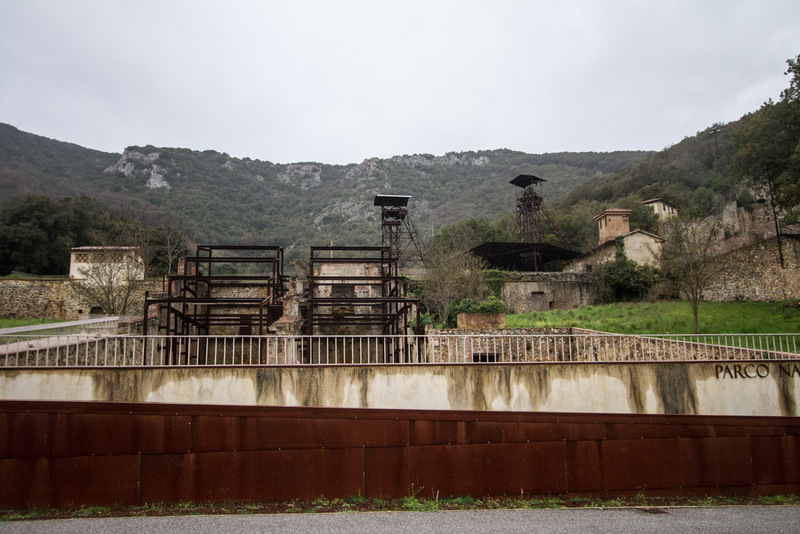 A few km down the road in the village of Ravi are the remains and pit-head towers with lift gear, which are also open to visitors on specific tours. 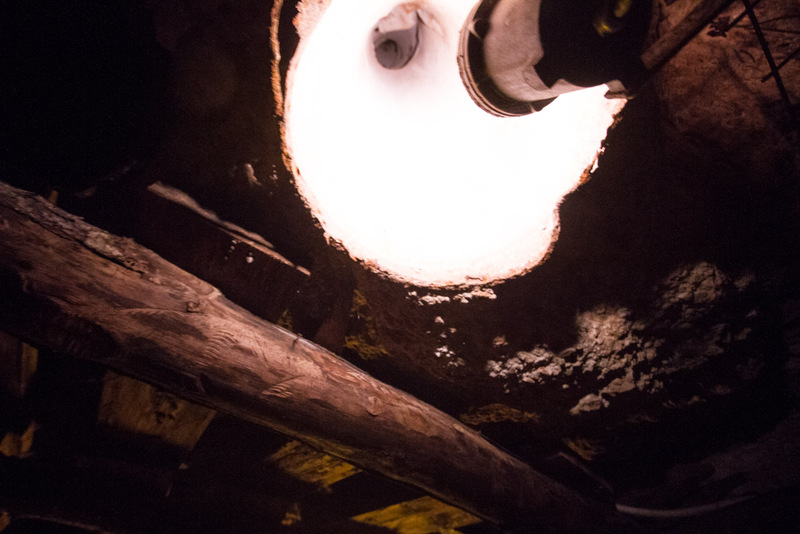 We looked around the workings and got a look close up at how the above-ground part of a mine functions. Ravi contains pithead gear and was the entrance to another part of the mine complex. Ravi Marchi Mine pit head. 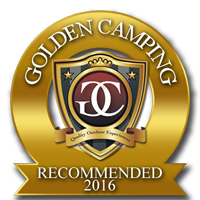 Visit – Only Guided Tours. 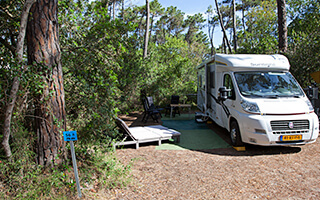 detail about the group visits that are possible and other information, then visit the website from the visitor center. 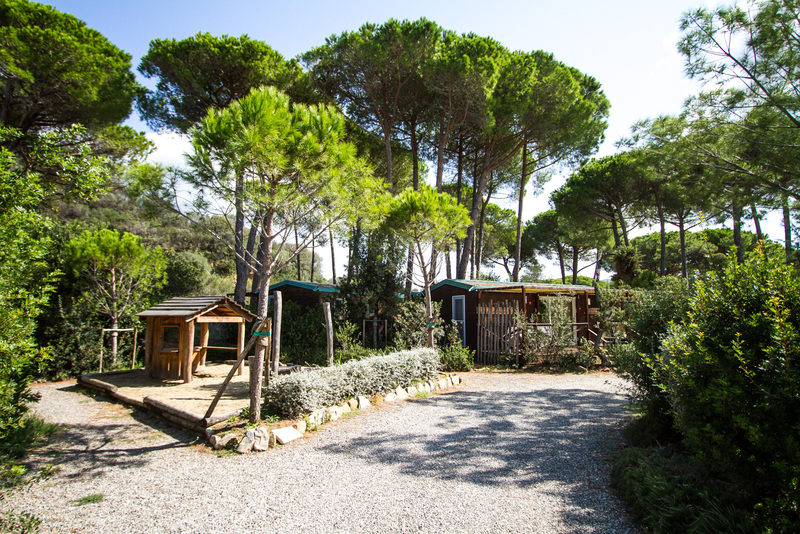 The basis of Glamping at Punta Ala Camp and Resort is accommodation that puts you in touch with nature, wooden Chalet style accommodation units, interspersed in the trees next to luxury cool caravans called, “Silver Field”. 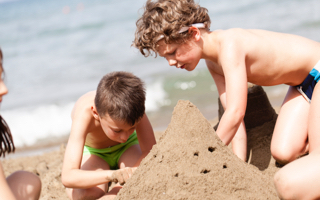 Close to the beach and close to the best services that the resort has to offer. 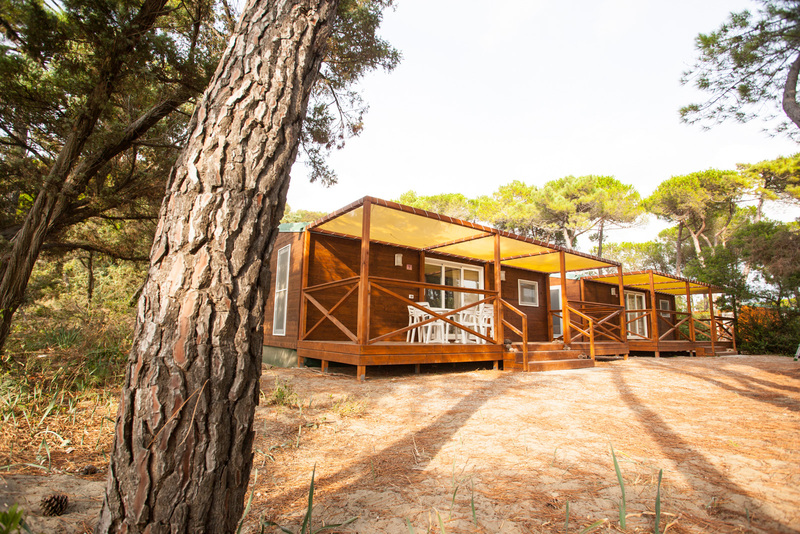 The club accommodation is wooden, blends into the trees and is fully climate controlled. Nature is taking care of the climate outside. 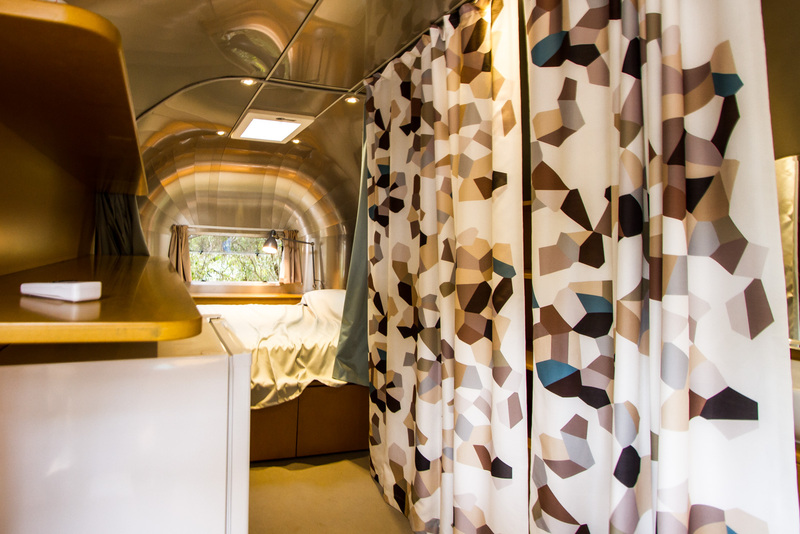 The silver field caravans are located nearby, based on the Airstream Icon from the USA, it’s something on another level compared to what one might expect. 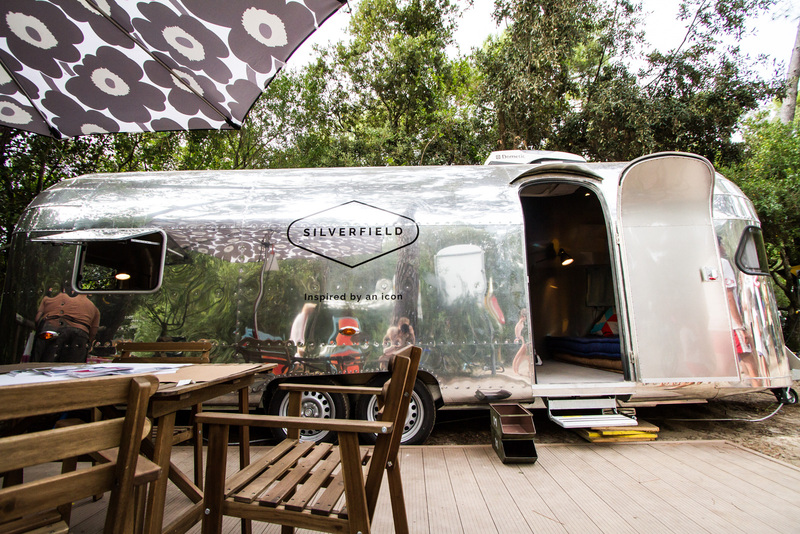 Take a peek inside Silver Field and the finish is about cool style. 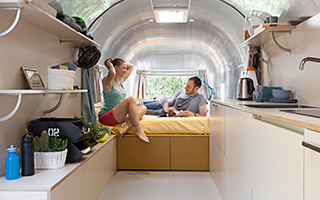 Caravans now include the possibility of sleeping, four people. 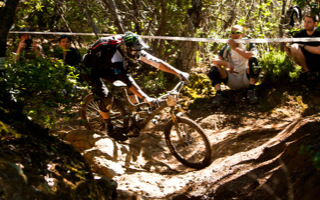 The ambiance is fundamental, where nature starts and the accommodation begins is a blurry line. 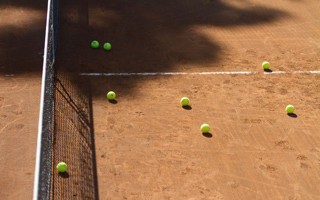 Something for everyone, sports feature highly on what you can do there. 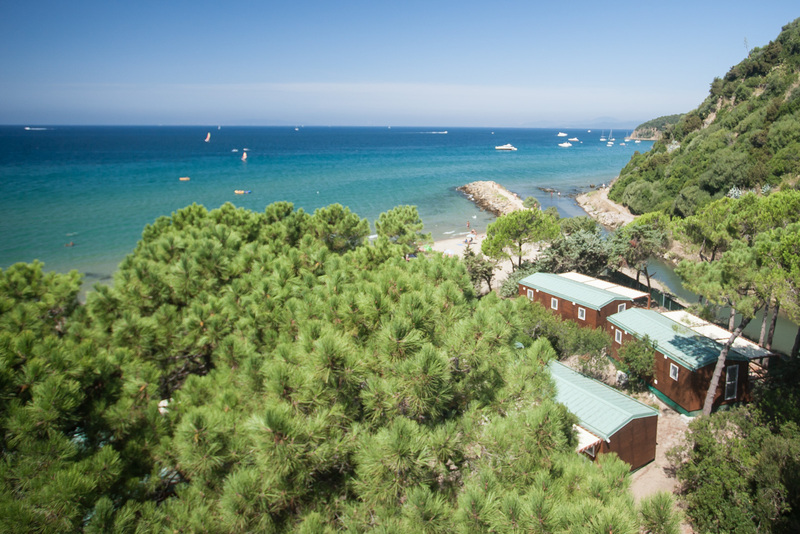 Glamping in Punta Ala means you are close to the best services, bars, restaurants and daily food delivery services including fresh bread every morning as part of the accommodation package. 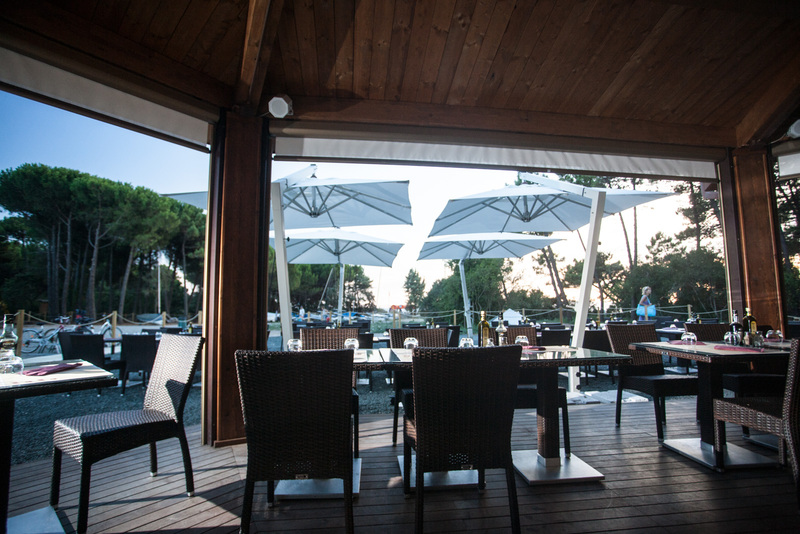 The Seafood based beach restaurant is a few meters close by, if you want, sit and enjoy the best service in the area with quality food. 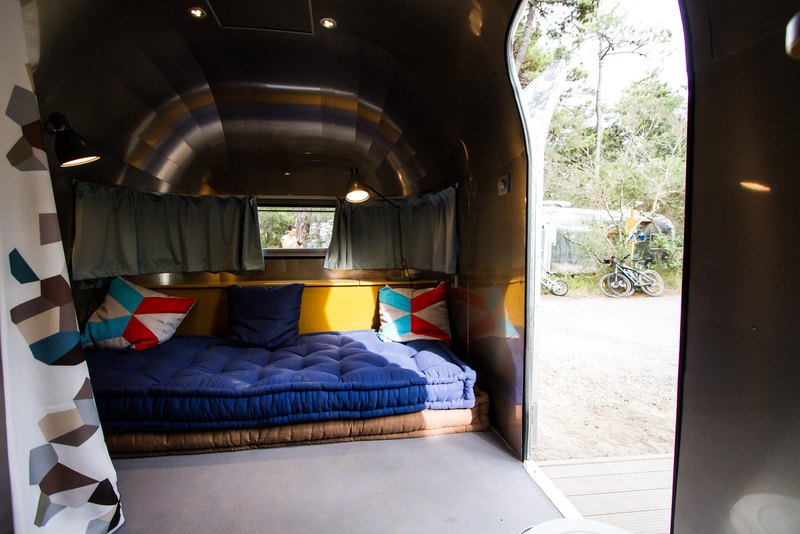 Its well designed gives you a feeling of elegance but freedom at the same time. 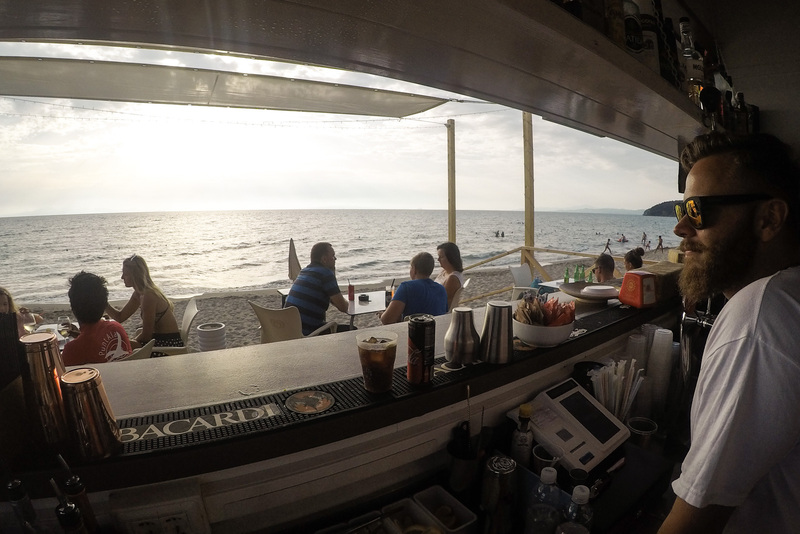 The standard late evening view as the sun sets from the bar. 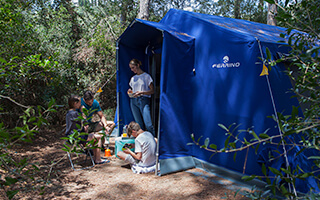 The last but not least definition of Glamping in Punta Ala is the location and what you can see with very little effort. 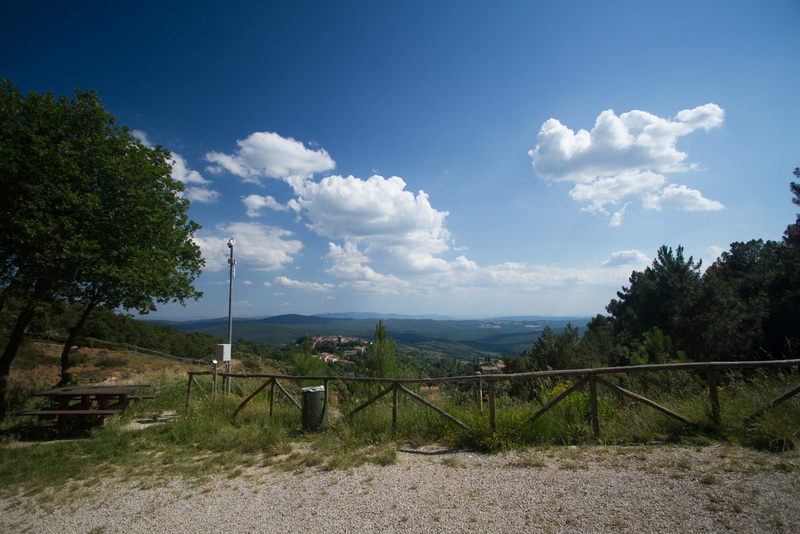 It’s Tuscany, so this is the standard scene if you venture in any direction off-site. 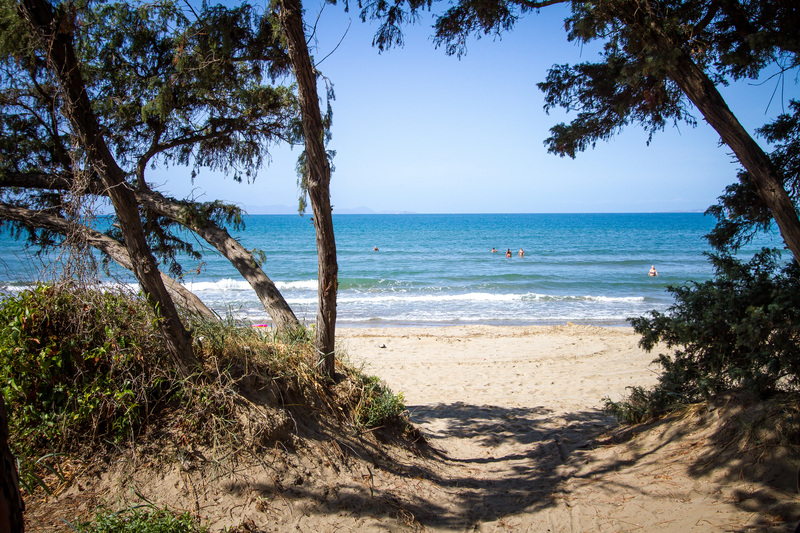 The coastline is full of indescribably beautiful bays backed by maritime pine woods. Some can be reached with a little bit of adventure, you will be one of the few there. Yes, it is that close to the sea, you will hear the movements of the water if you listen. 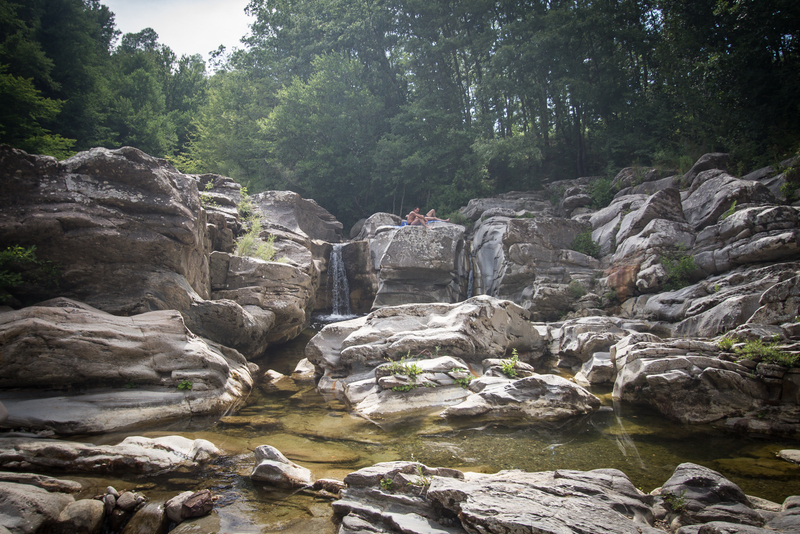 In the middle of the woods above Roccastrada where the Farma river flows is a waterfall feature and natural pools that in the right season are accessible and its possible to swim in. 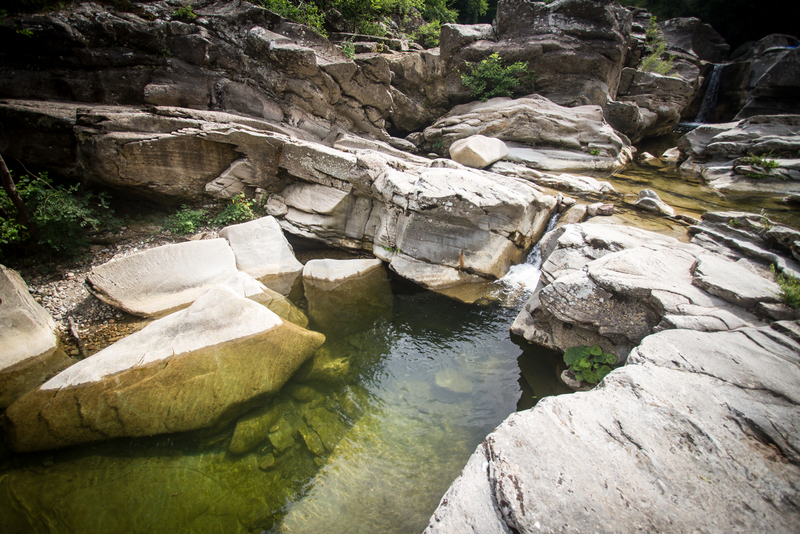 The Farma river flows through a naturalgorge and has carved through a section of harder rock some incredible waterfalls with plunge pools. We took a walk along the river near Torniella to discover them. The water is deep and it is possible to swim in the rock pools. With numerous places to bath, just find a spot and enjoy the total peace and isolation. It is not that easy to access these natural features as they are distant from the road and you need to walk about an hour to get there. The path follows the river from a bridge on the local main road. Park there and follow the path along the river. 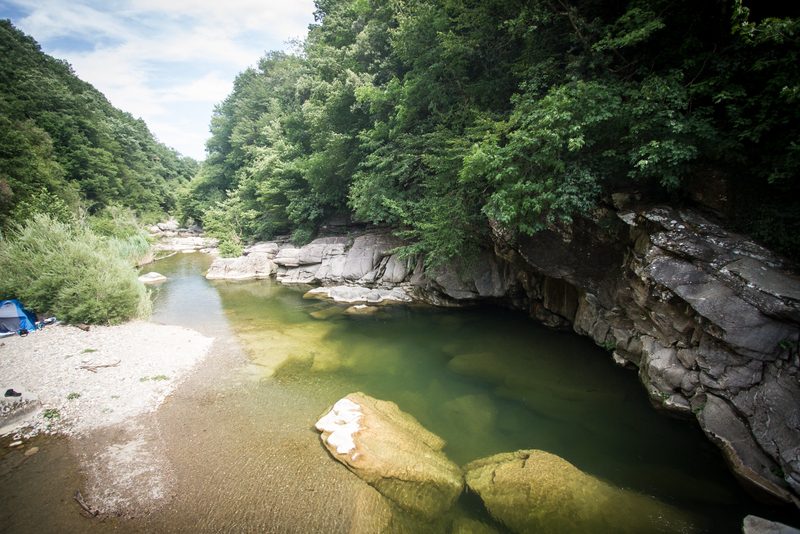 The river is low enough in summer to be a good place to access if there is a rainstorm though we recommend waiting until it has passed as the levels of the river can change quickly. People sunbath on the rocks surrounding the water. 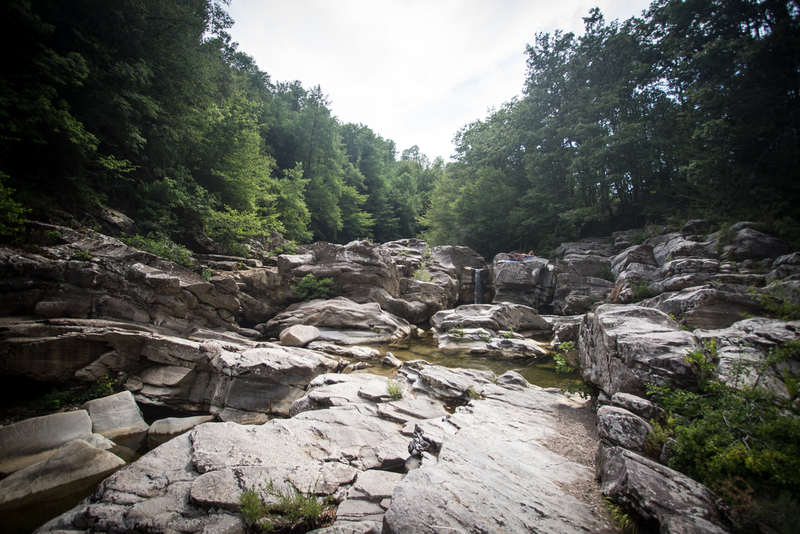 Between each step in the falls are these pock pools with absolutely clear water. Looking down the river gorge, you might find other determined people. Access is limited, it will take a while to walk and you need to be relatively fit. Fits you need to find a spot to park. 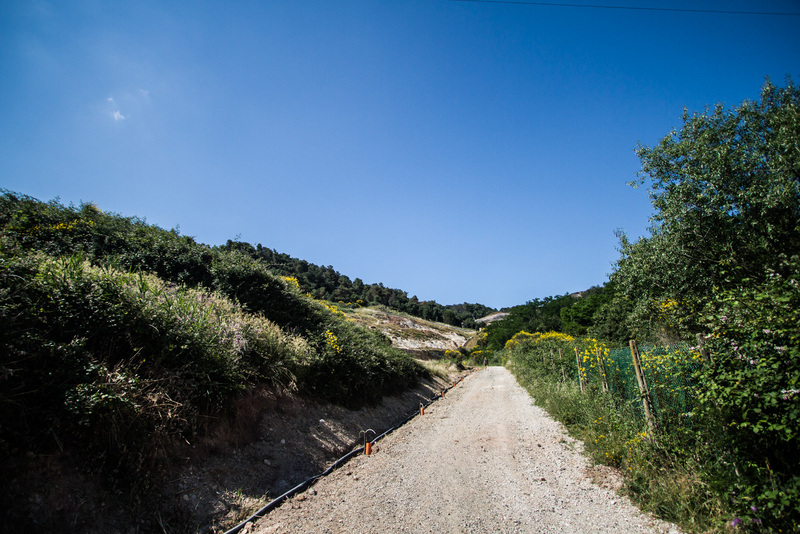 The local road from Torniella the SP157, gives access to the woods. Pick a spot to park near the bridge just outside Torniella, then walk. 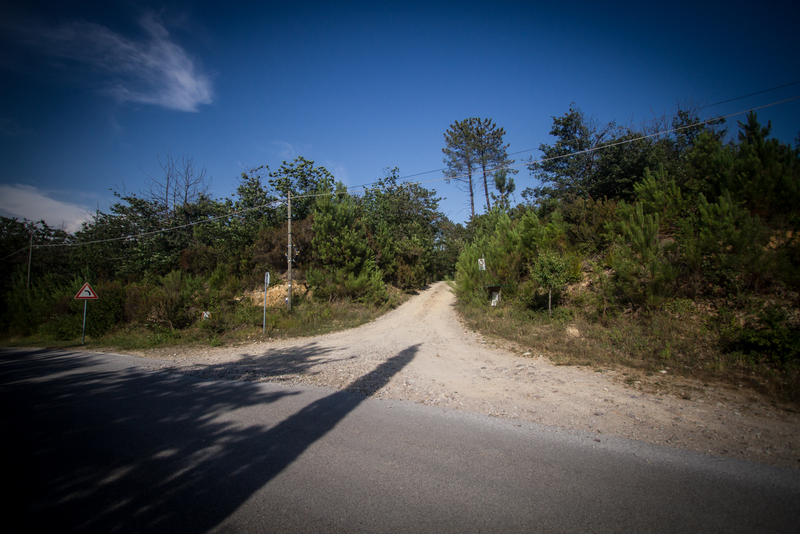 White roads disappear into the woods which give the option to get there… it is an adventure. 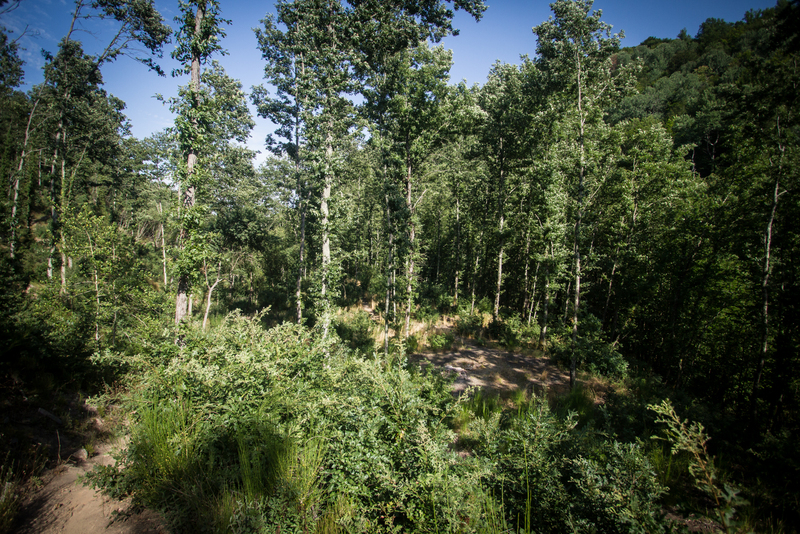 The roads into the woods could take you there, use our Google map below to work out the best way in. 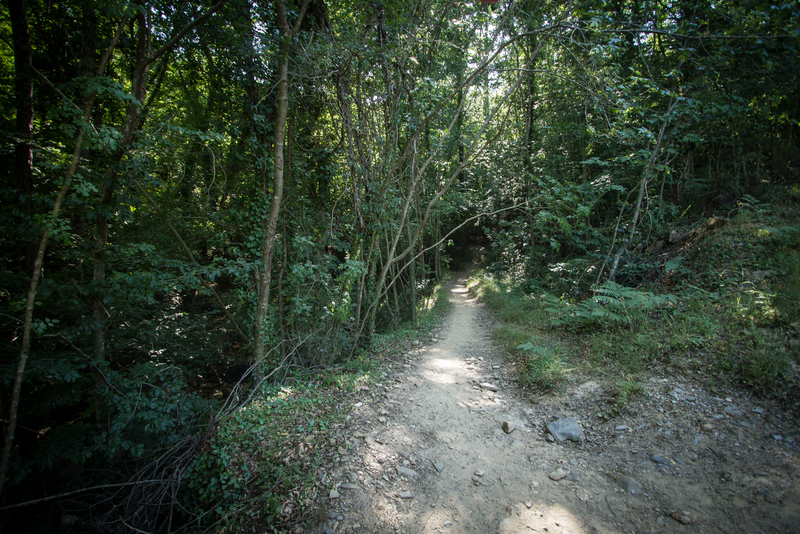 Walking through the woods there is a network of paths that follow the course of the river. They are quite defined and it would be hard to get lost. Here the woods stay close to the river and are close to the waterfalls. pace. 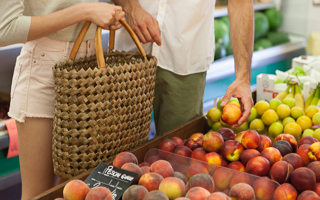 These are natural features and have no facilities, so please make sure that anything you take with you into the woods you take back home as well.